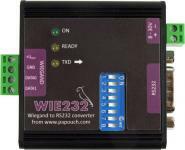 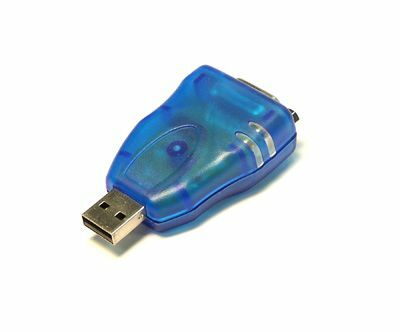 GNOME422 is a simple Ethernet to RS422 converter. 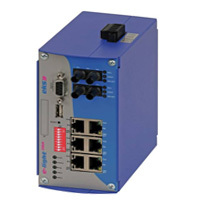 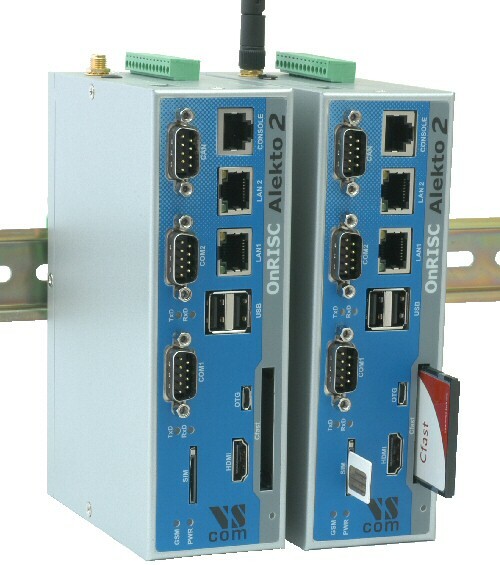 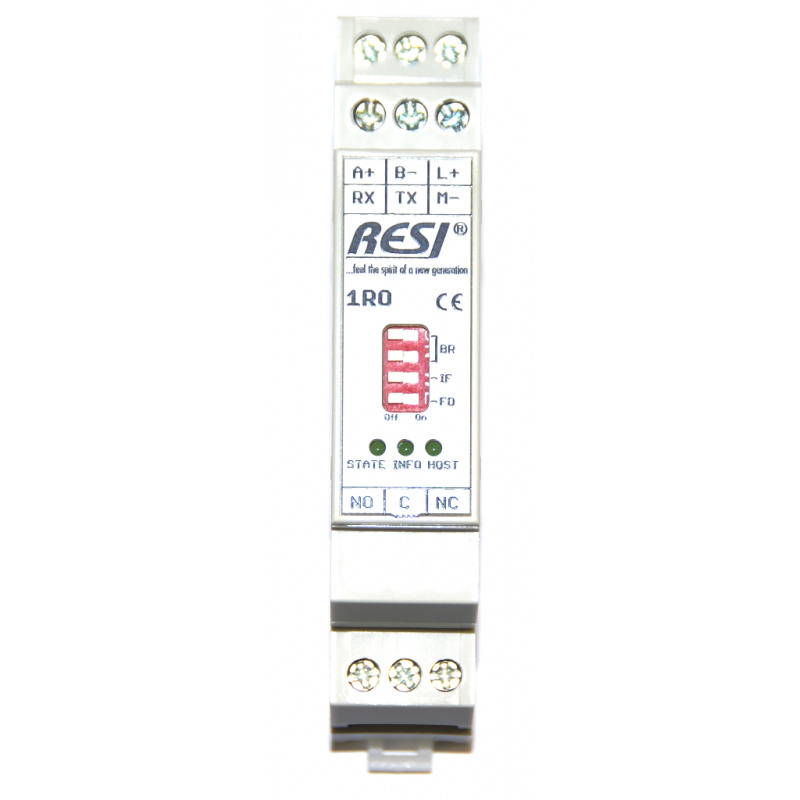 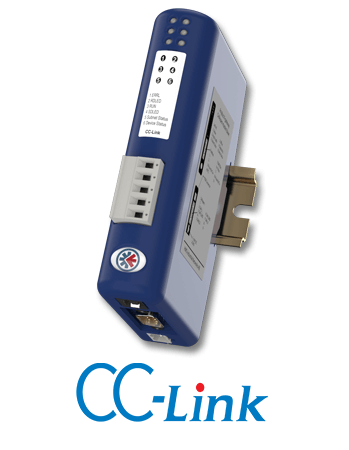 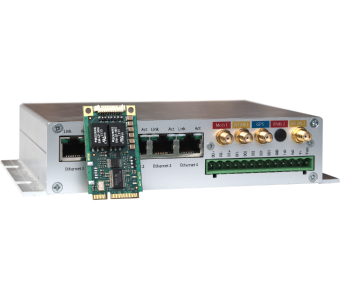 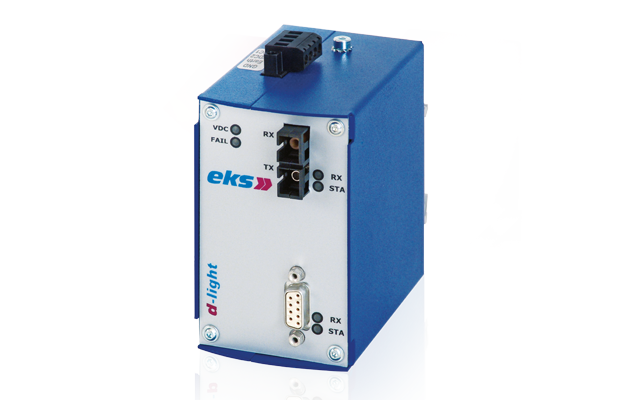 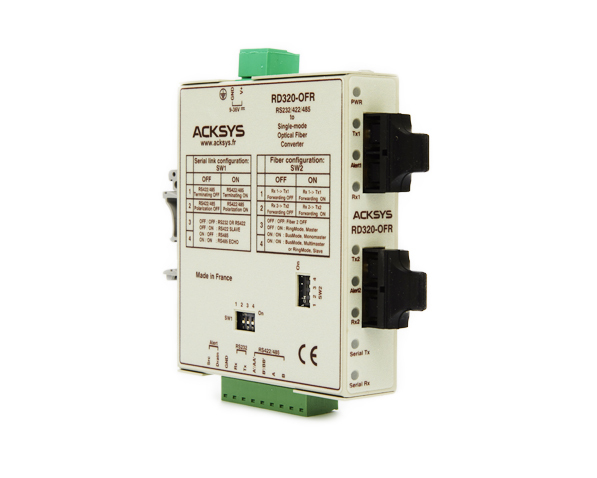 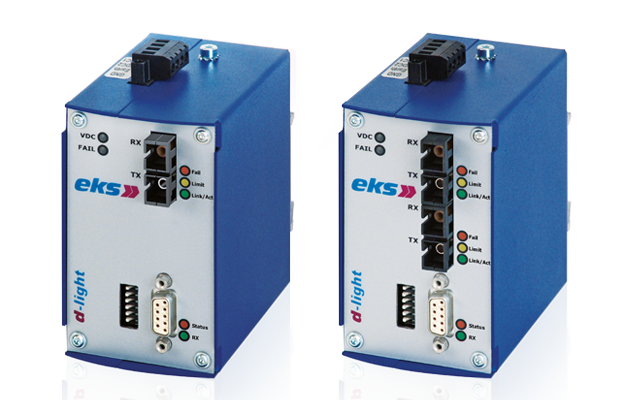 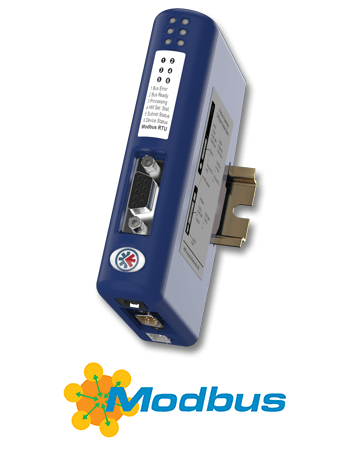 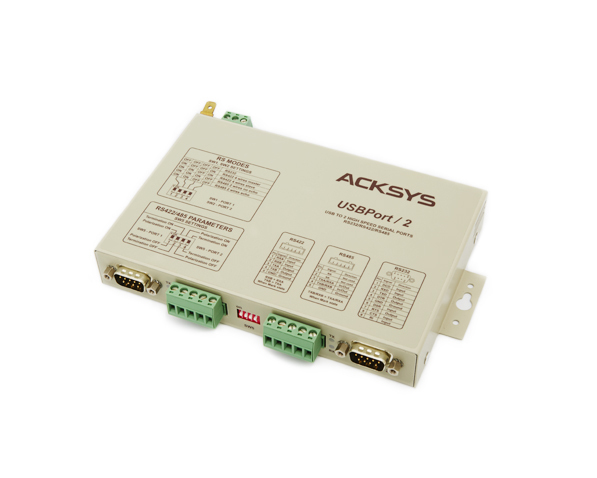 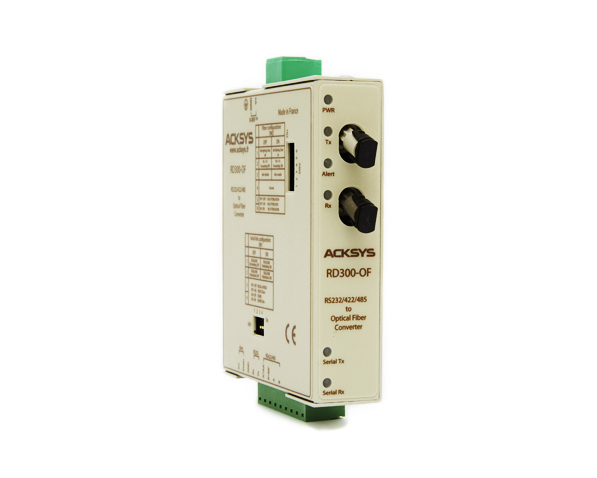 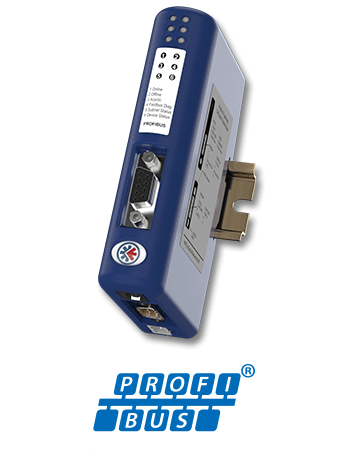 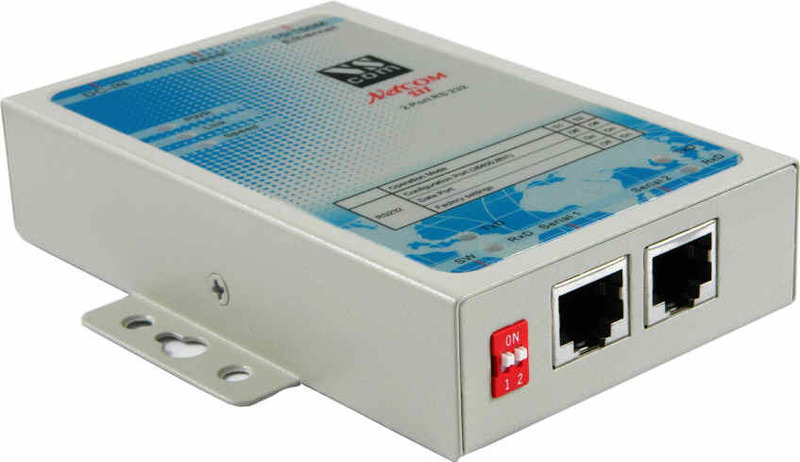 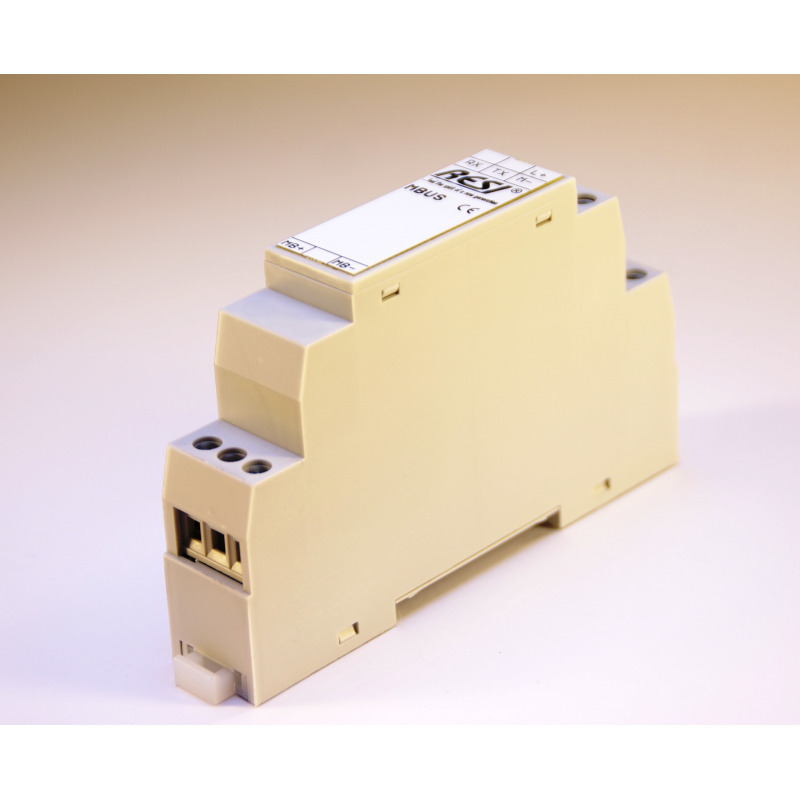 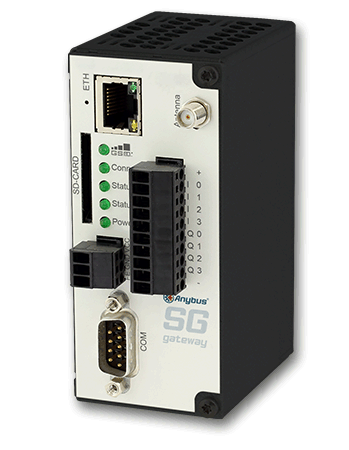 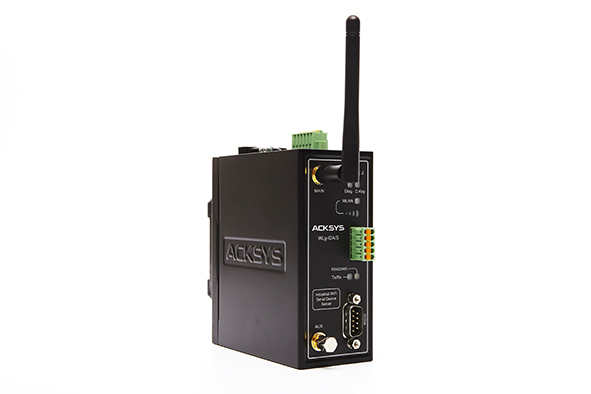 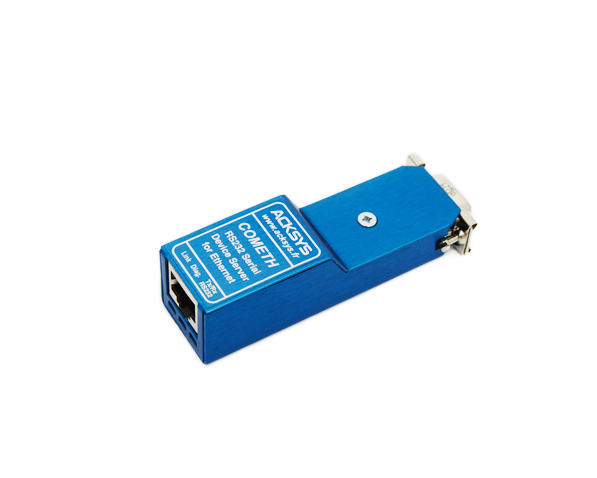 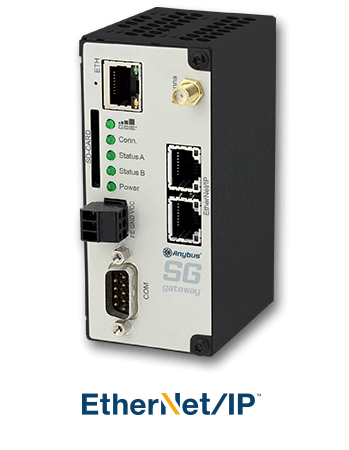 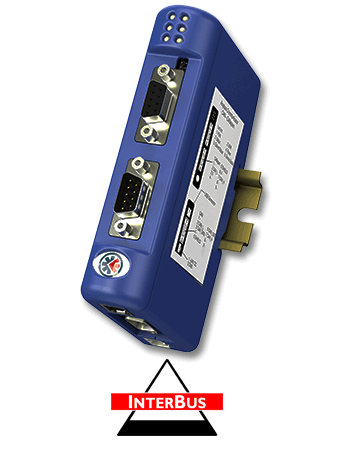 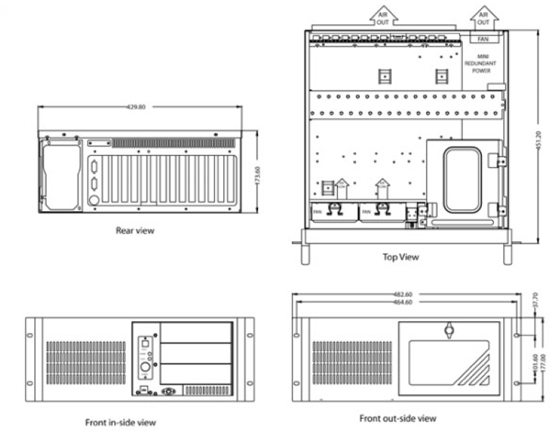 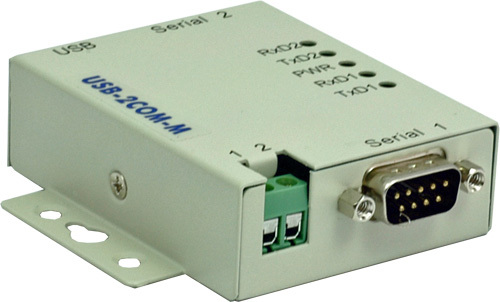 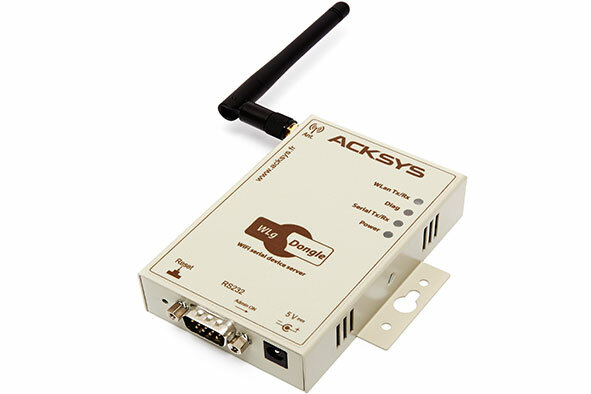 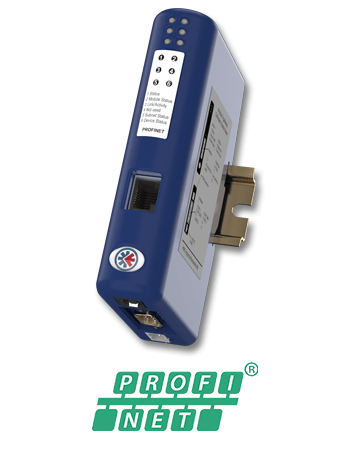 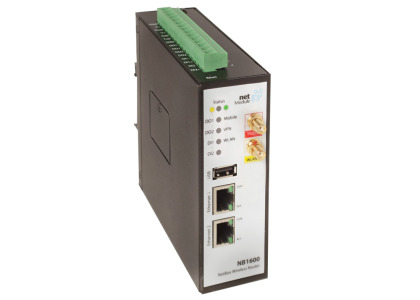 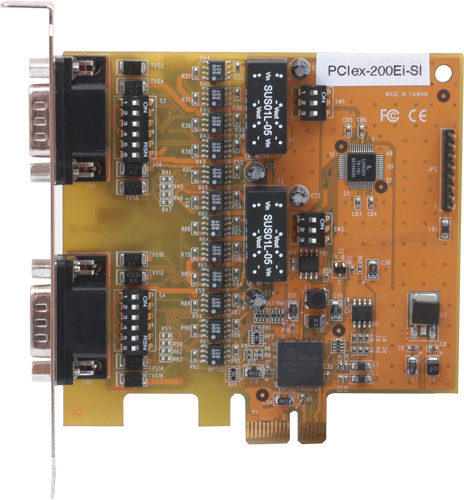 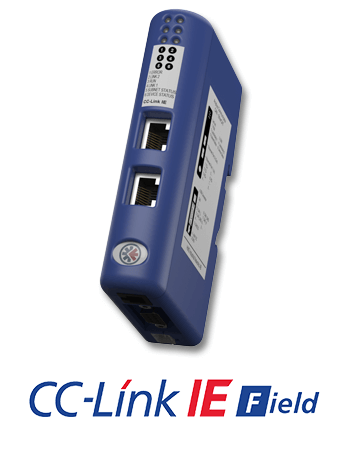 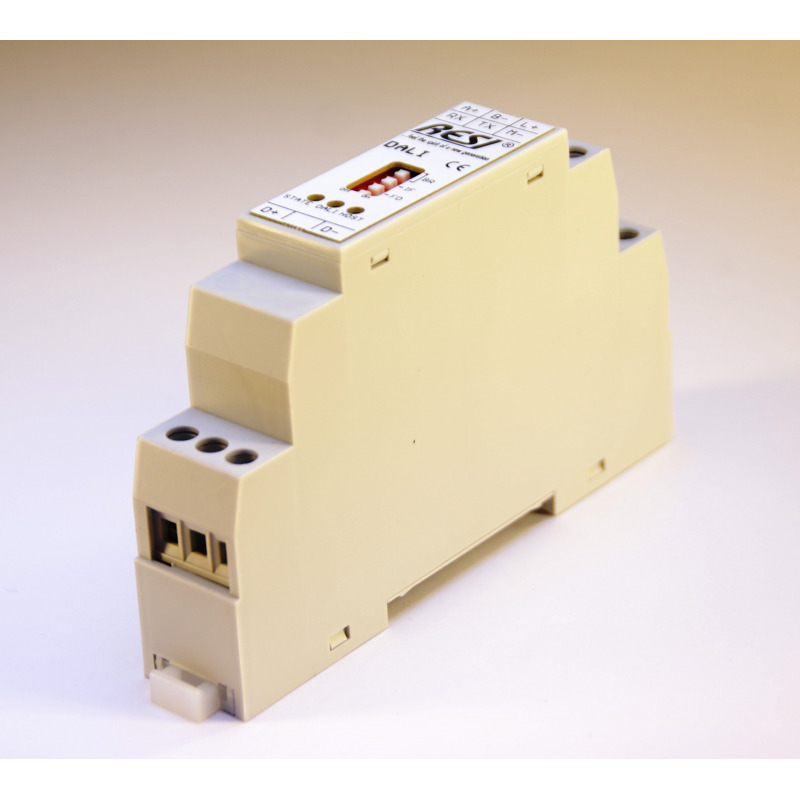 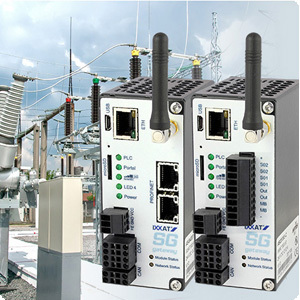 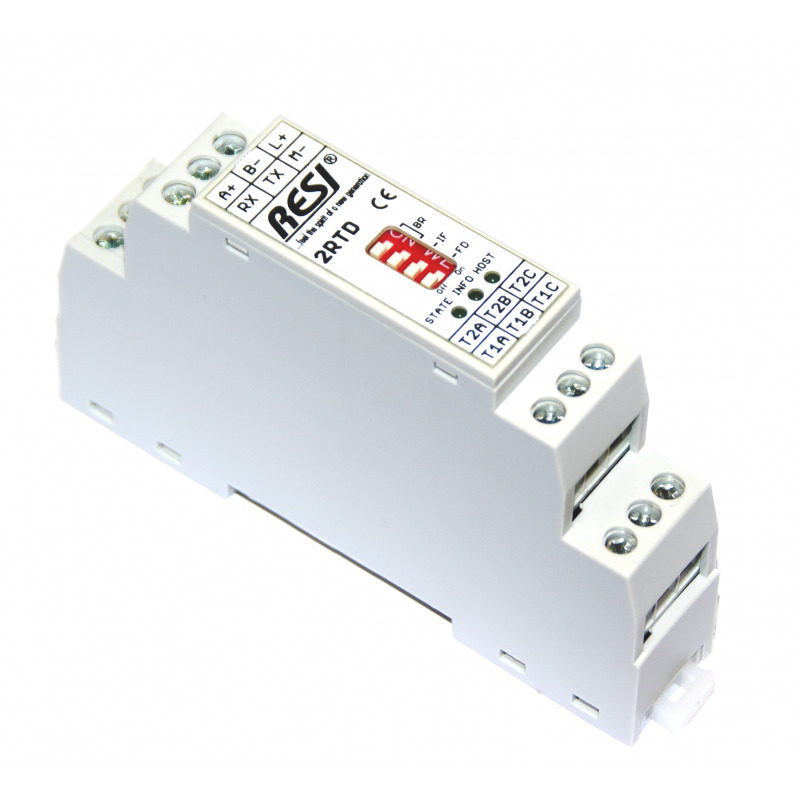 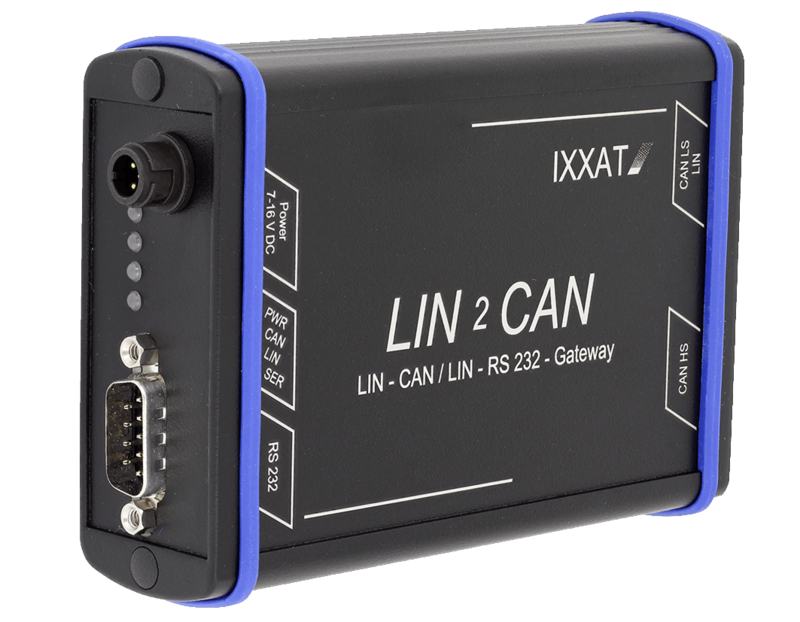 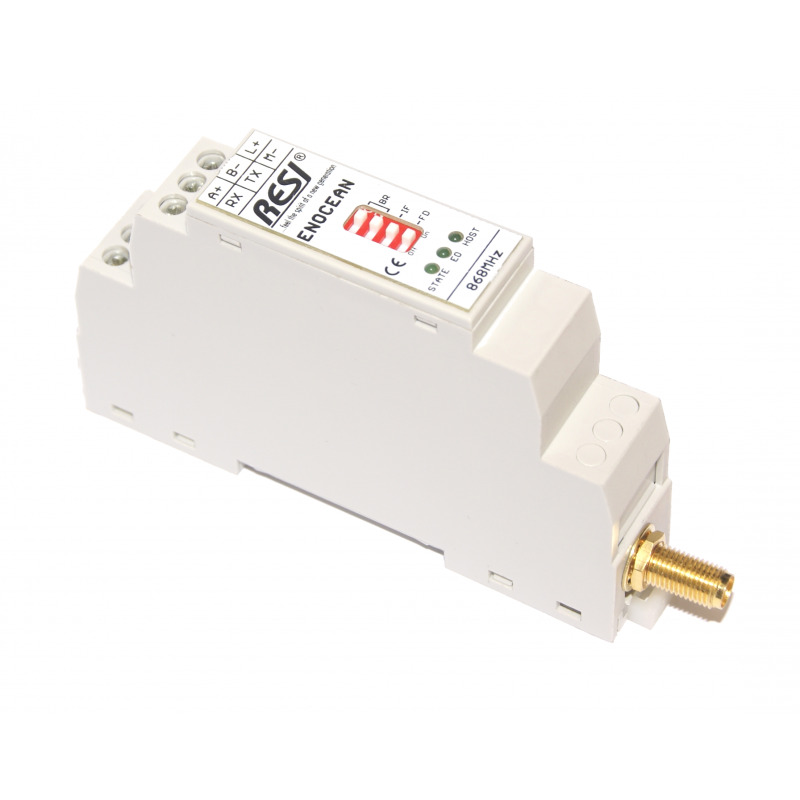 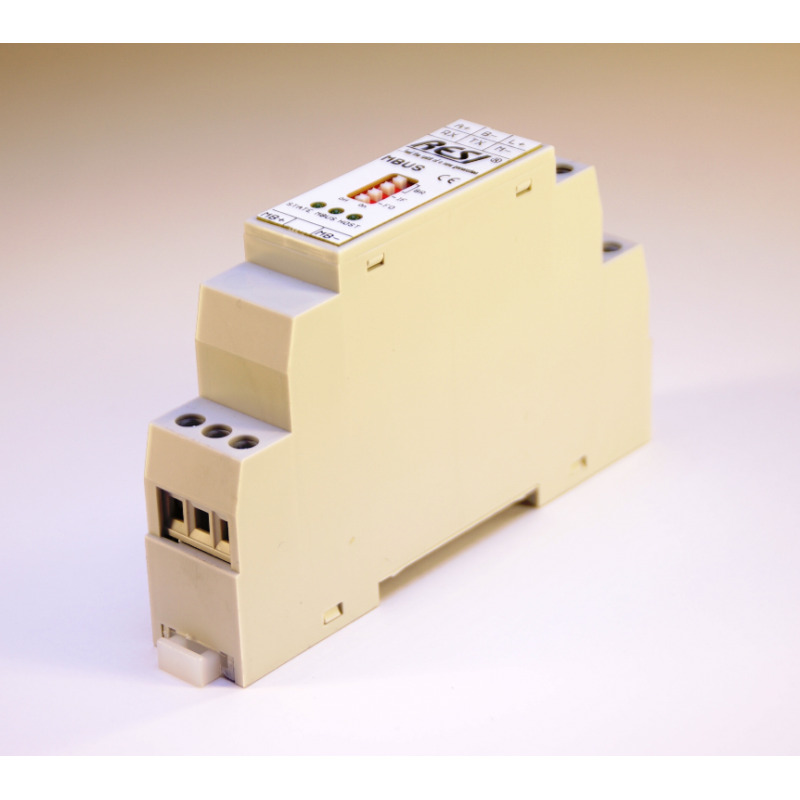 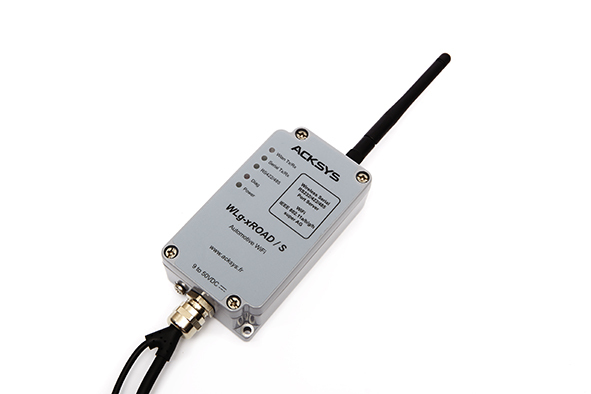 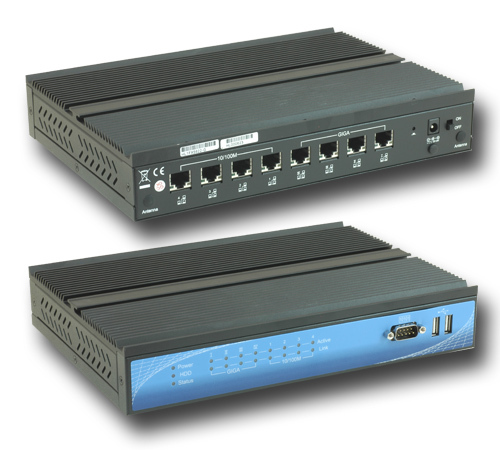 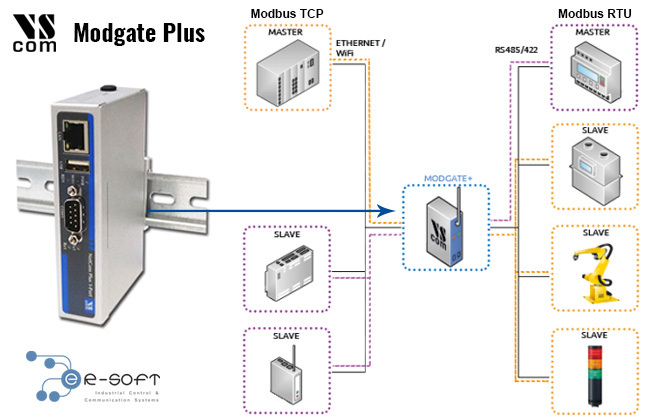 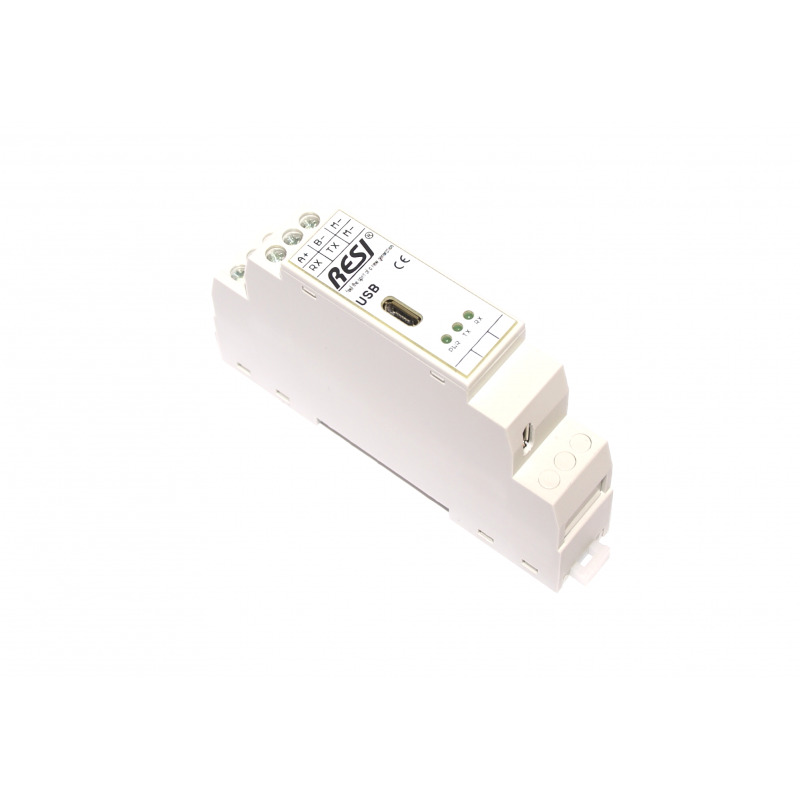 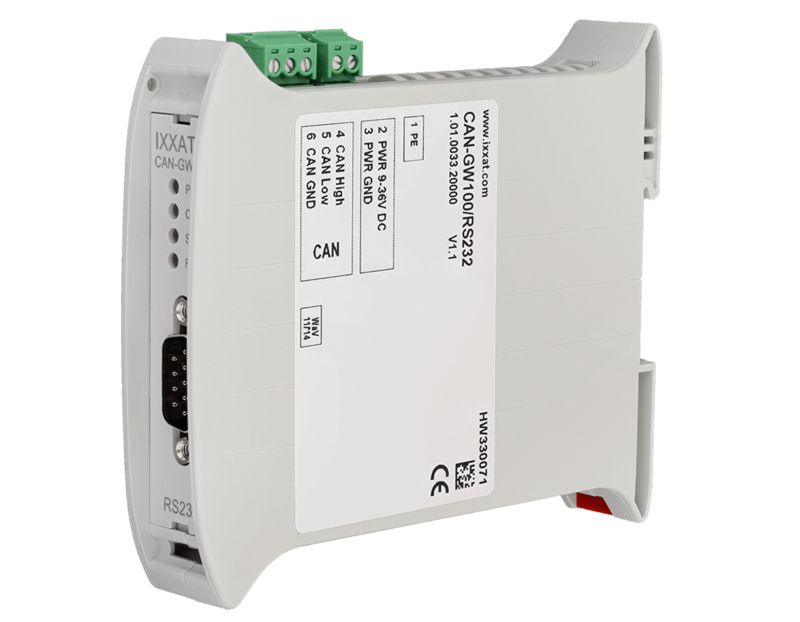 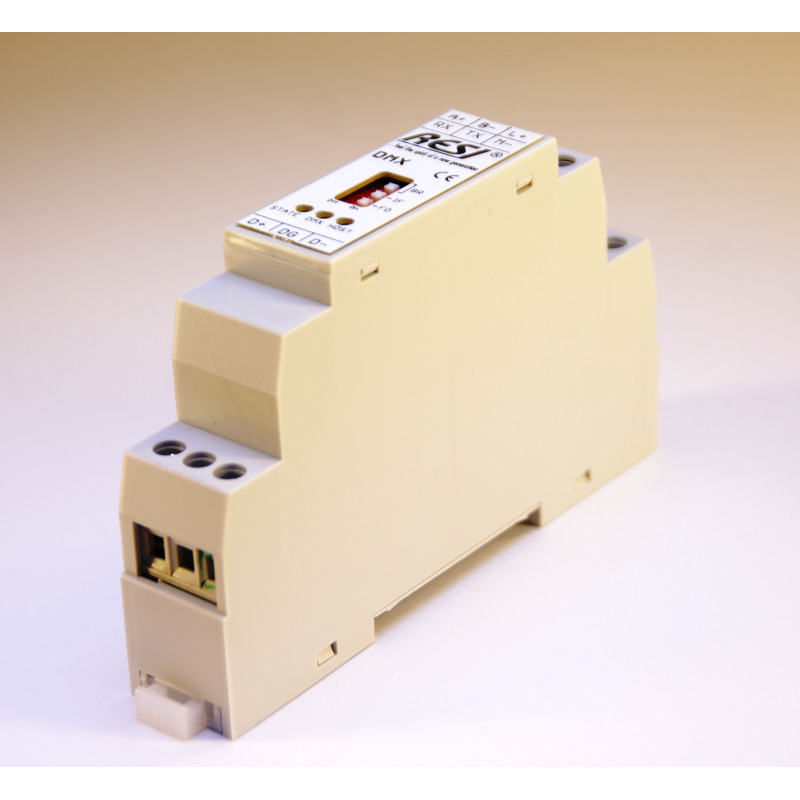 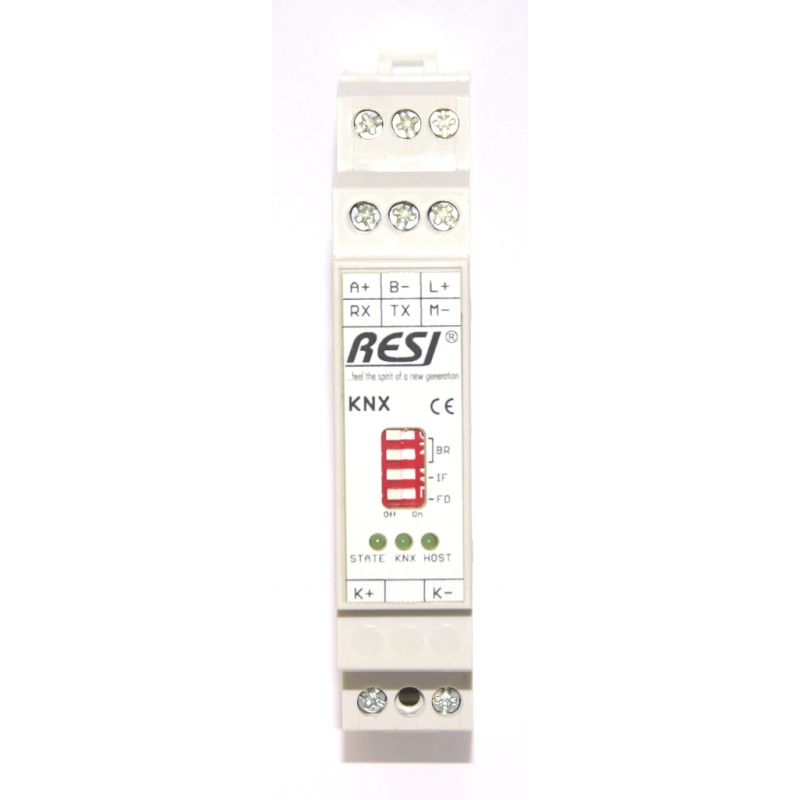 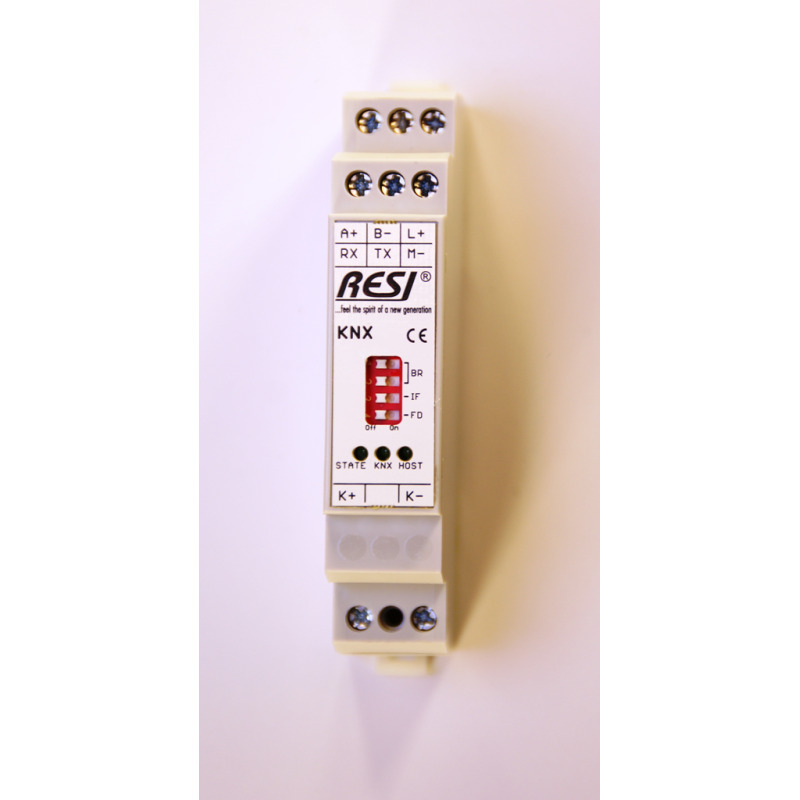 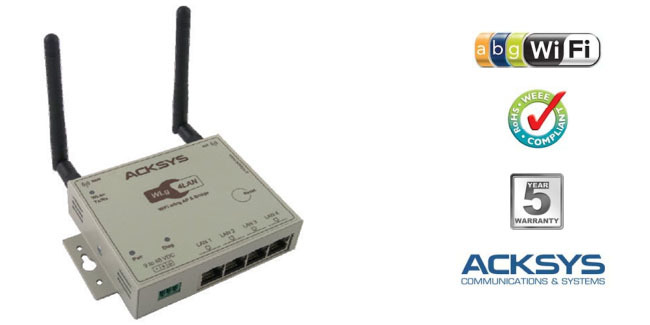 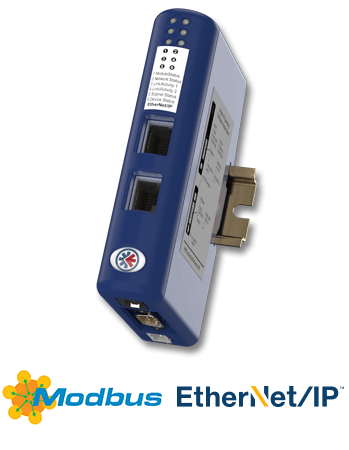 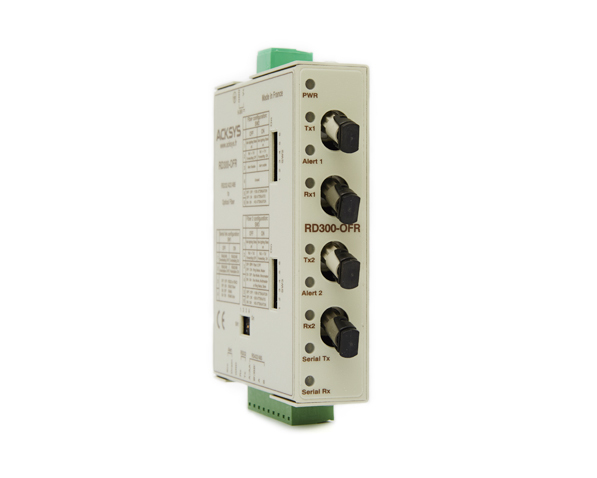 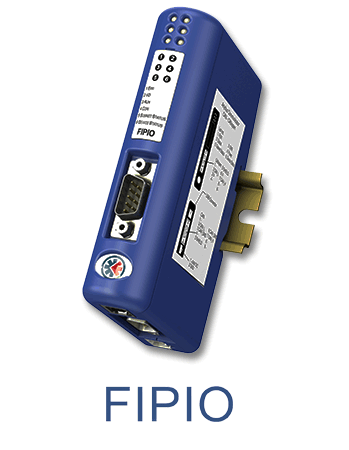 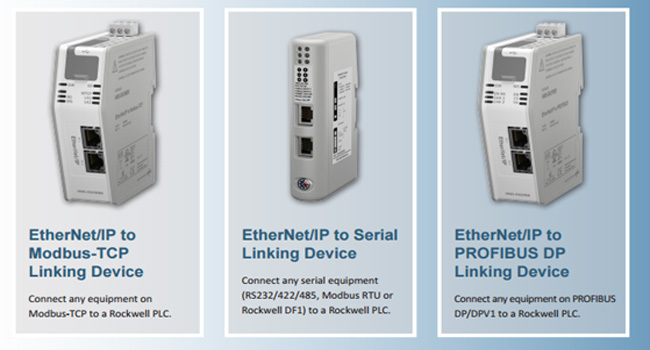 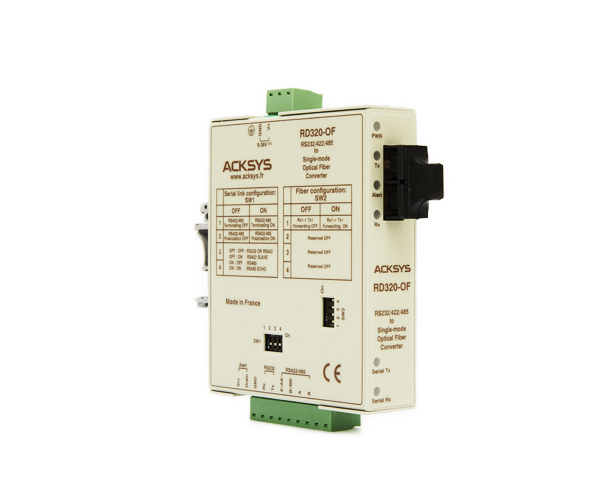 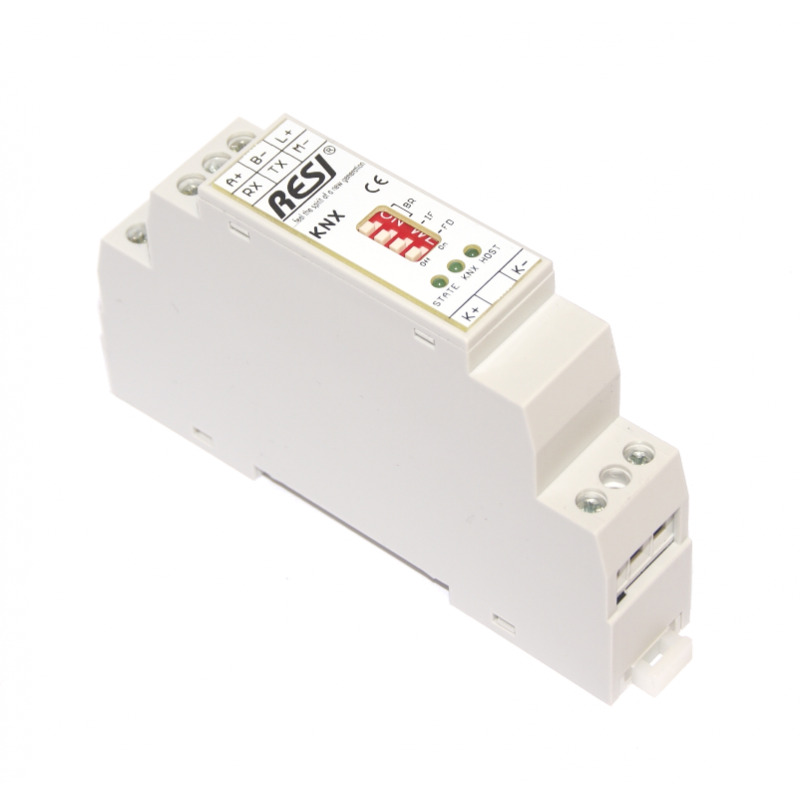 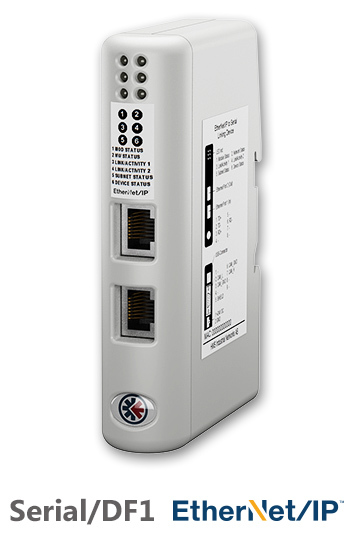 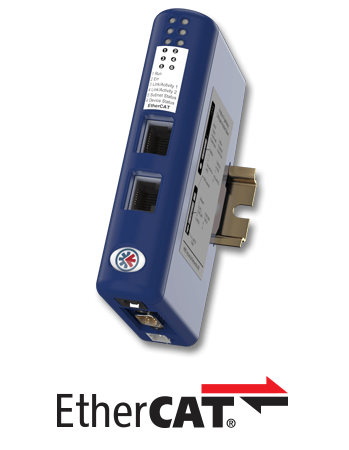 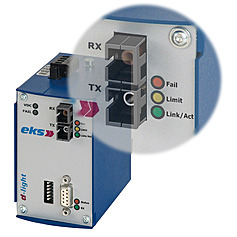 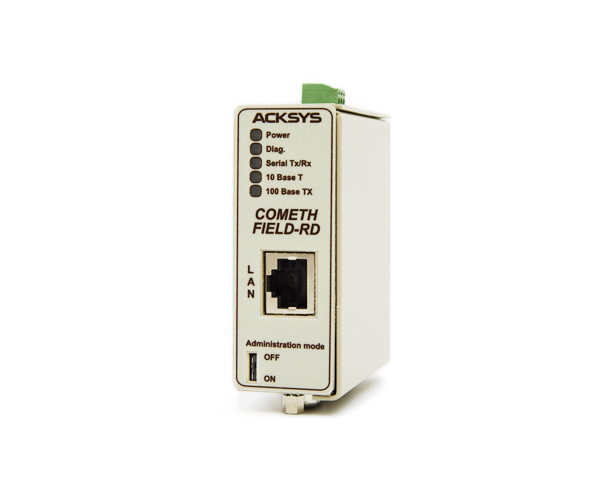 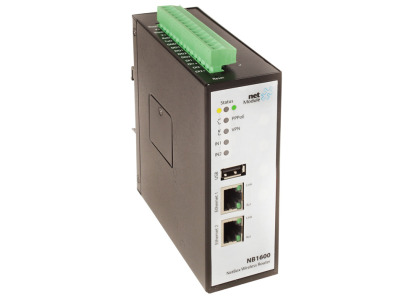 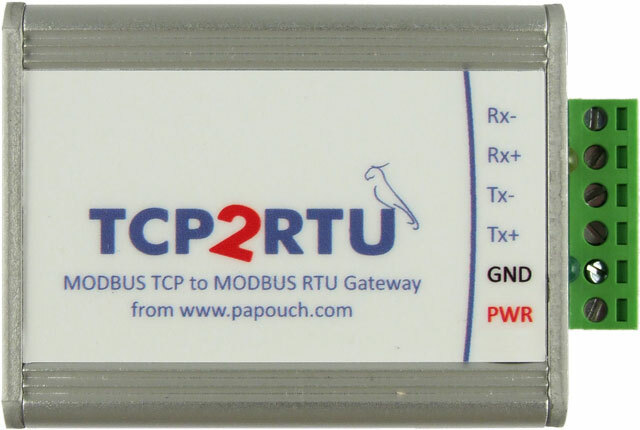 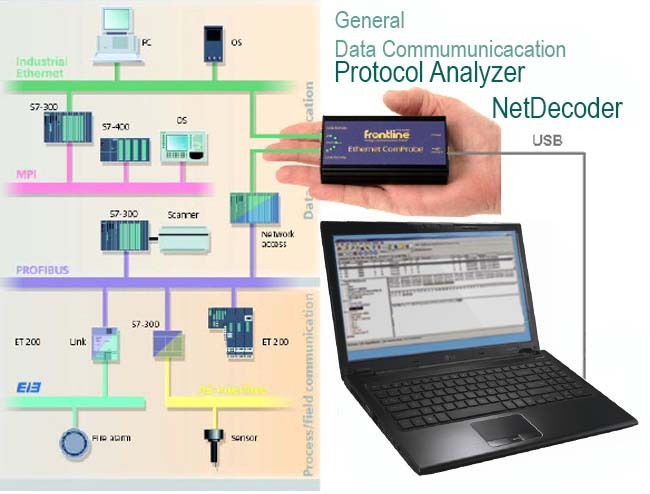 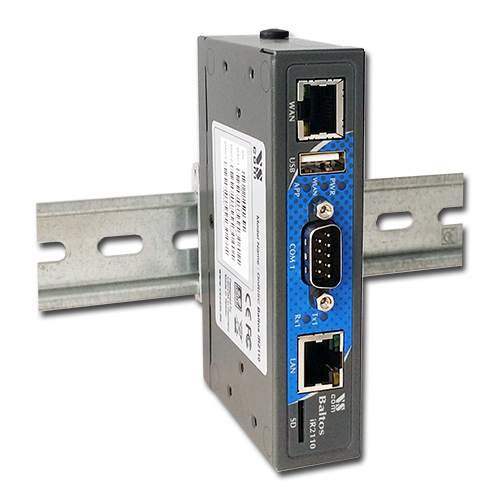 It enables a device with RS422 to easily connect to the Ethernet, to extend the RS422 line via the Ethernet or to establish a network of RS422 via the Ethernet. 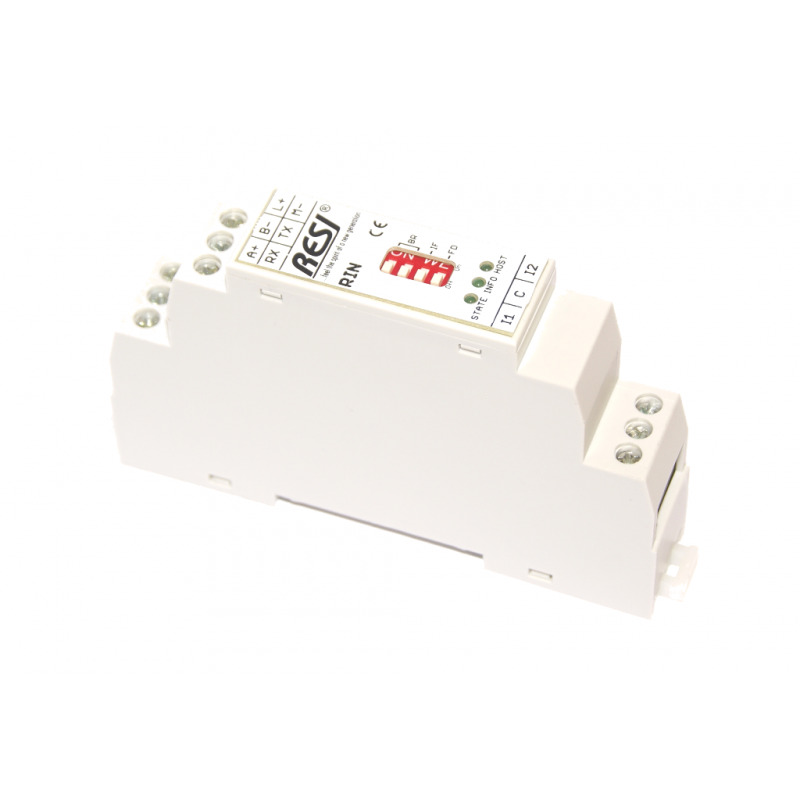 Power supply 5 to 30V. 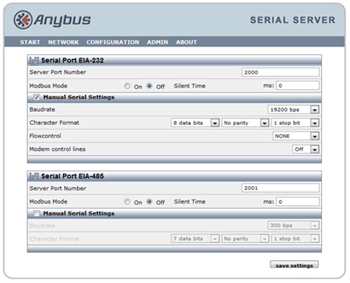 Virtual serial port. 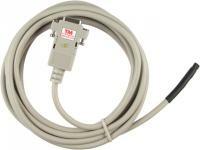 TM is a cheap RS232 serial thermometer with measuring range from -55°C to +125°C. 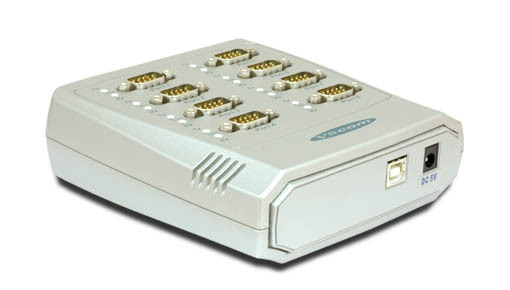 It communicates in a simple ASCII format. 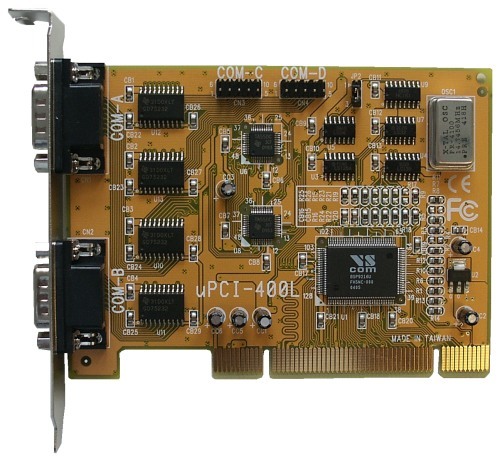 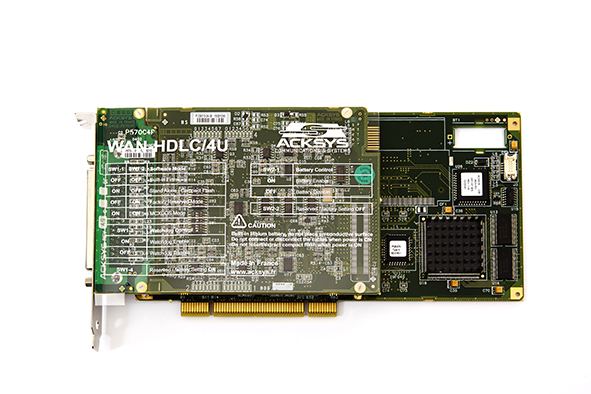 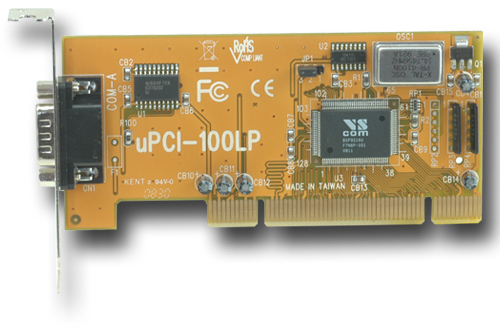 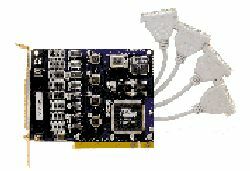 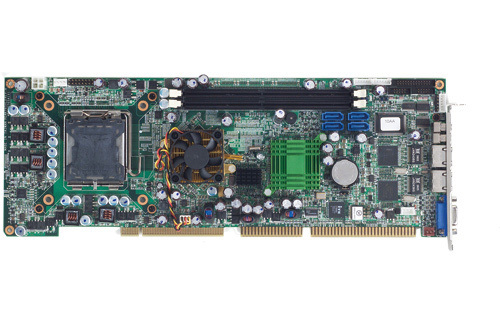 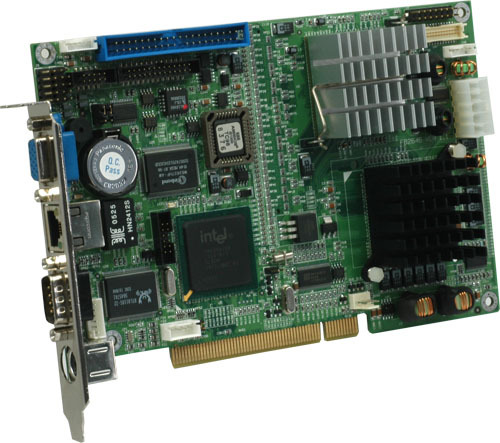 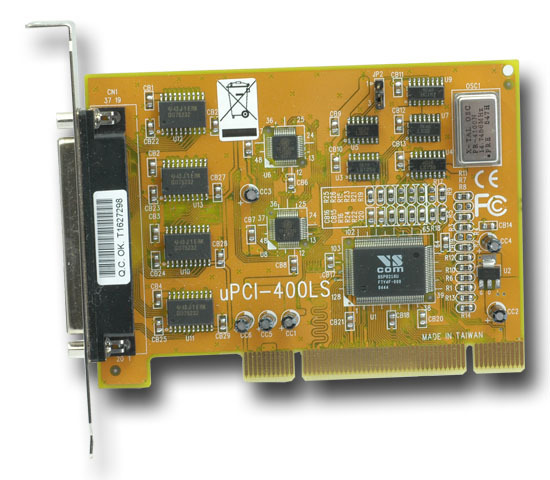 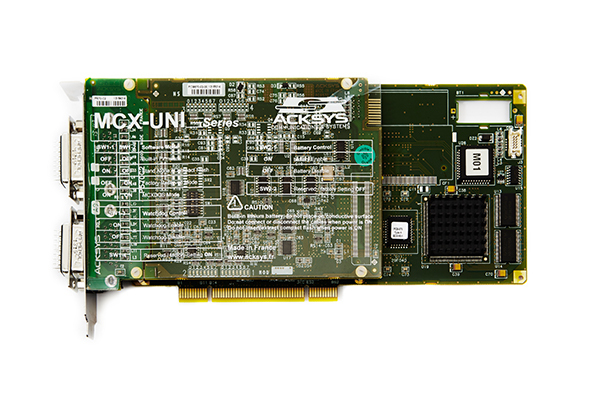 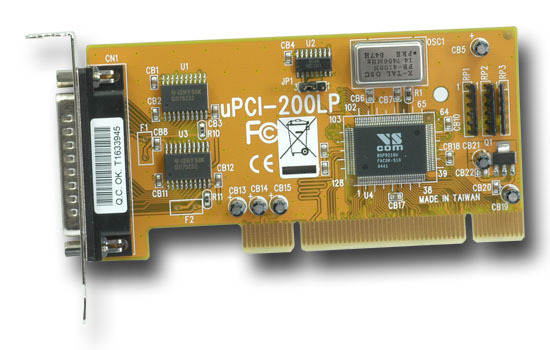 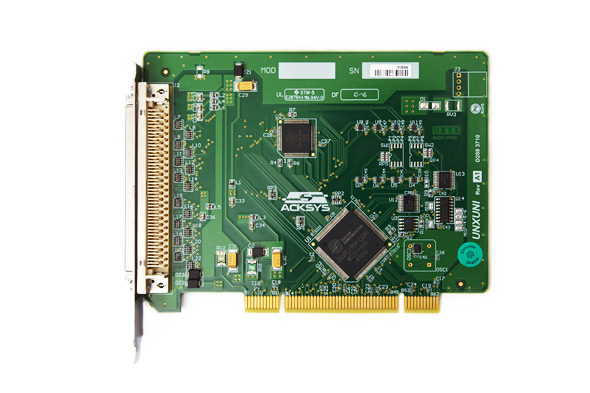 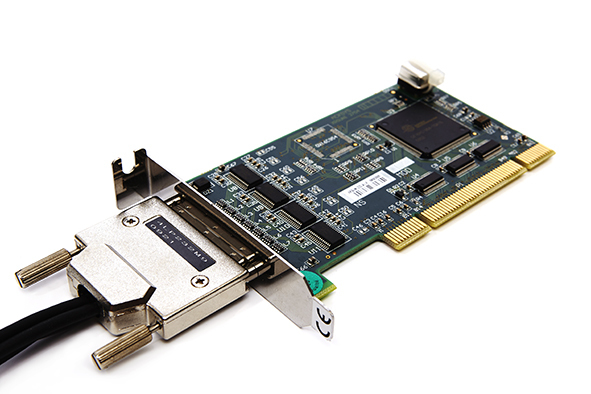 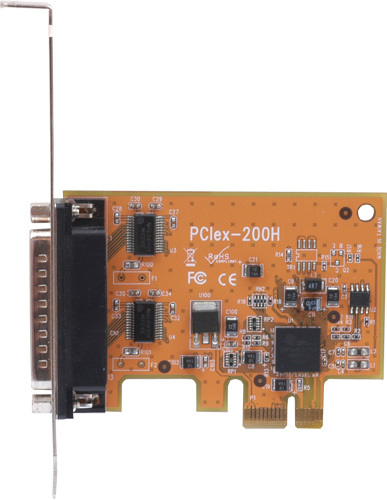 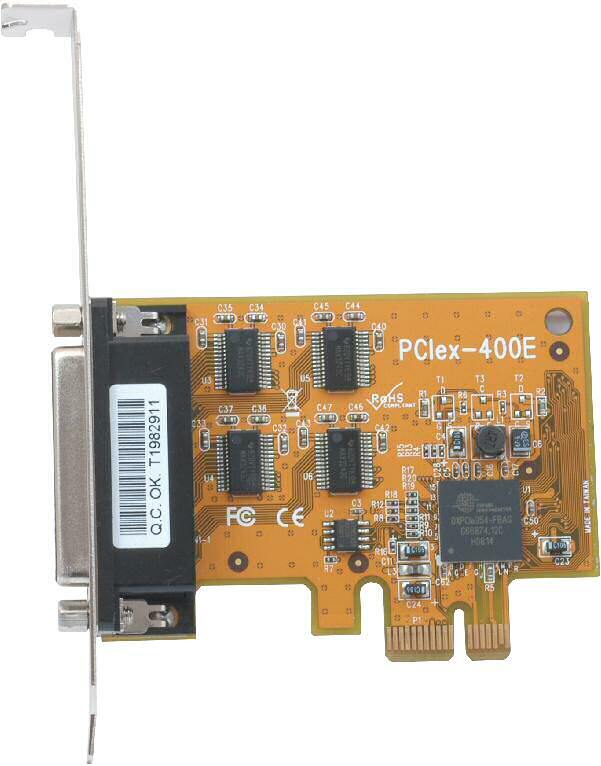 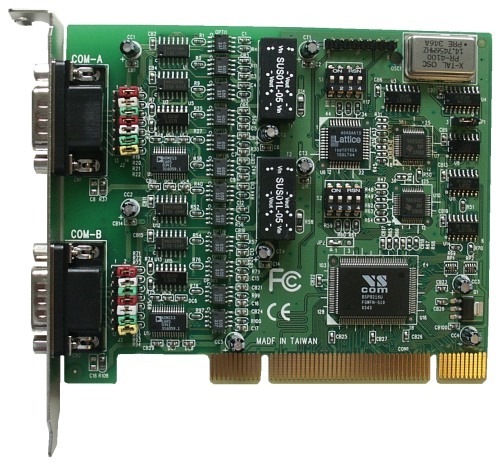 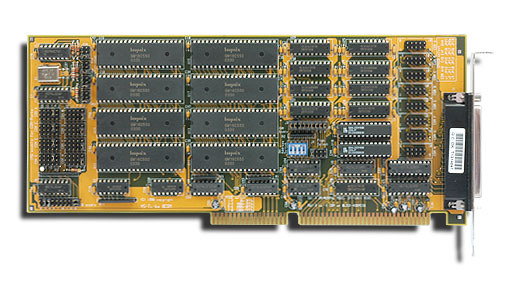 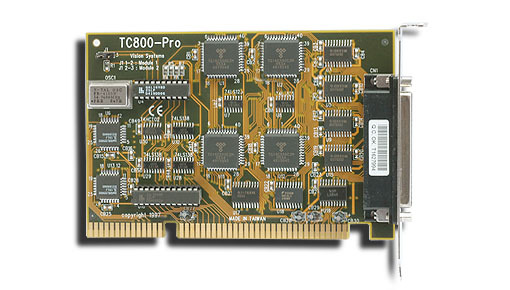 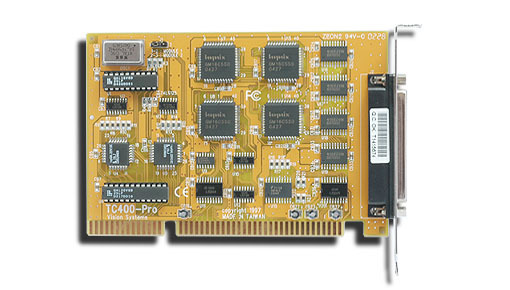 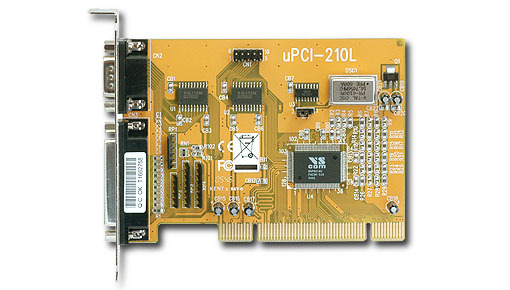 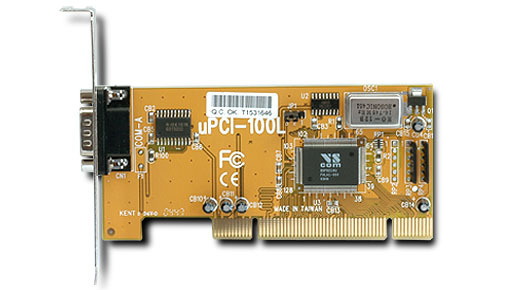 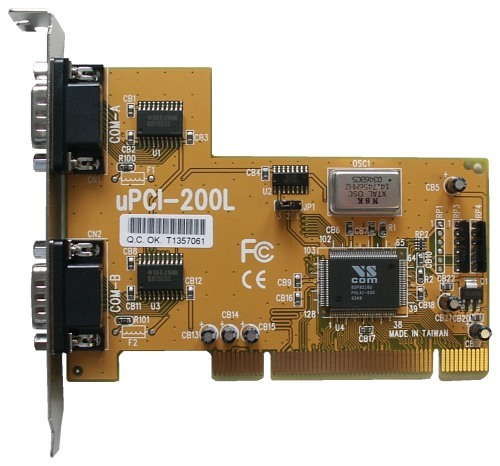 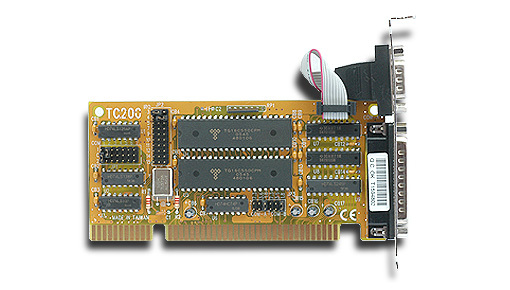 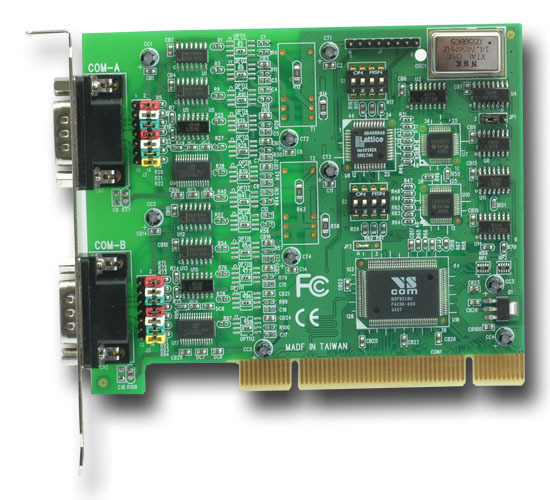 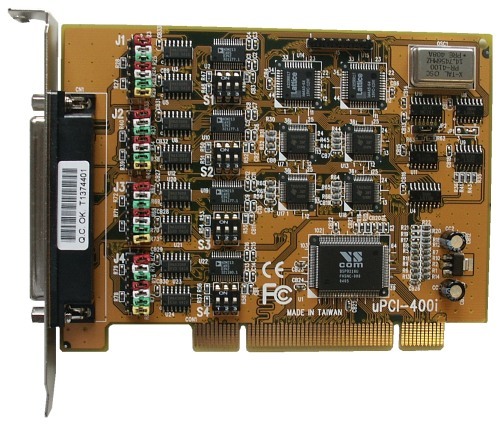 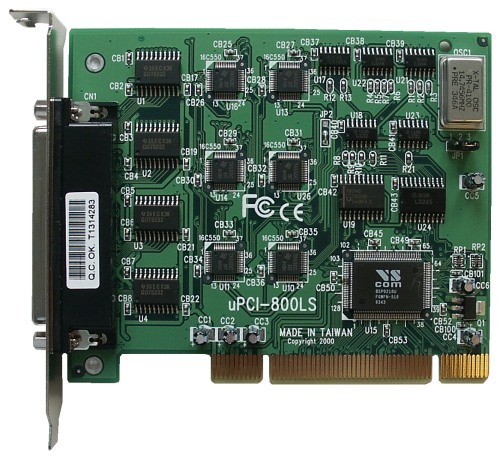 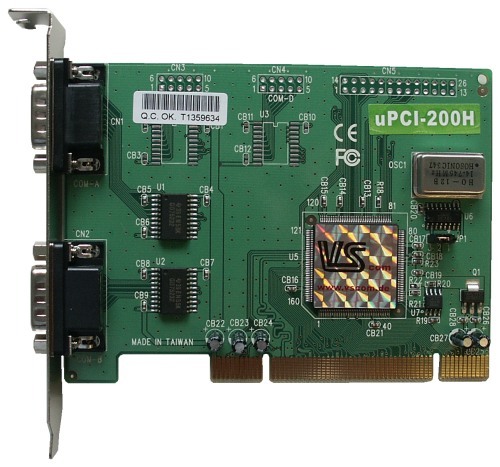 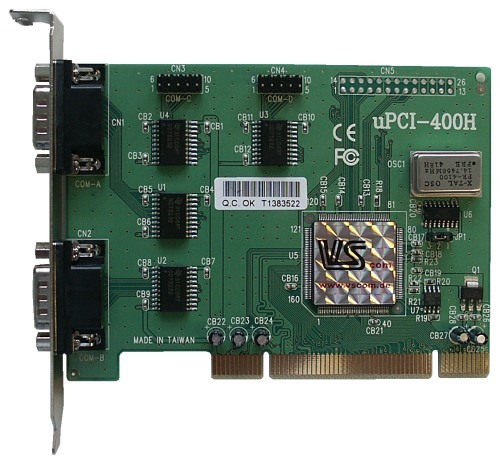 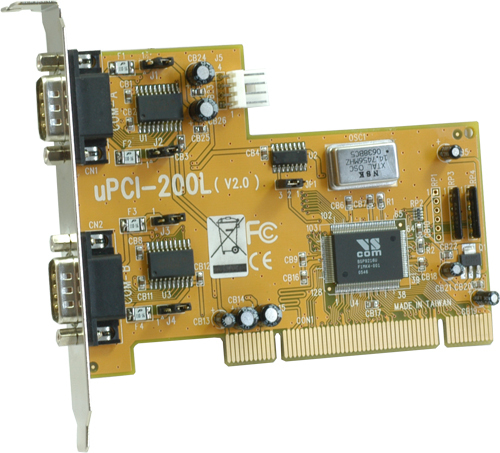 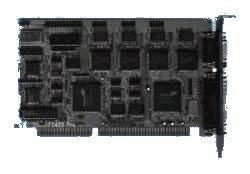 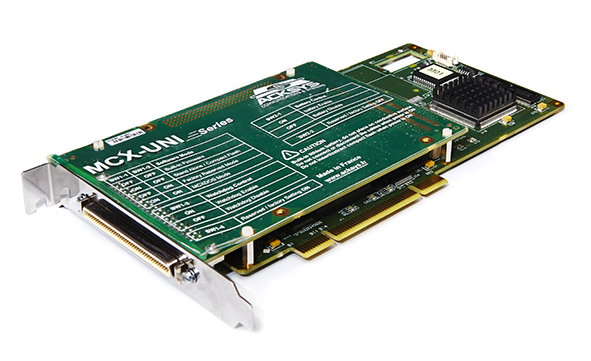 The Low Profile card fits to the PCI Low-Profile specifications. 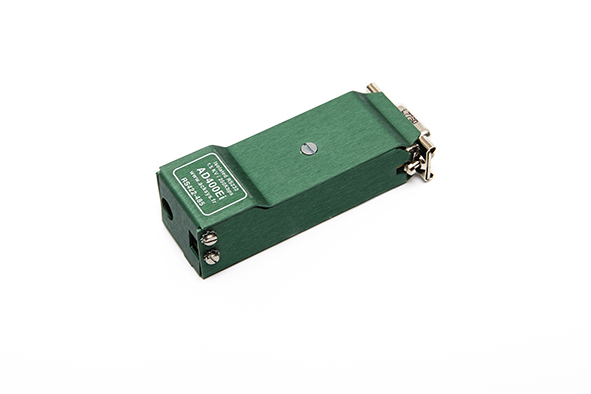 As such it is usable in small cases. 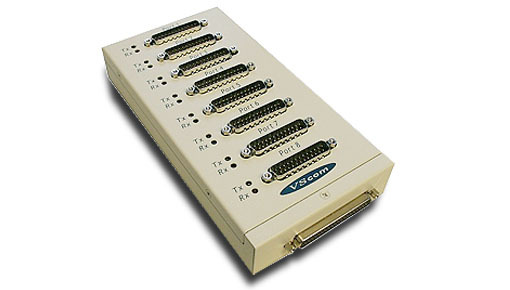 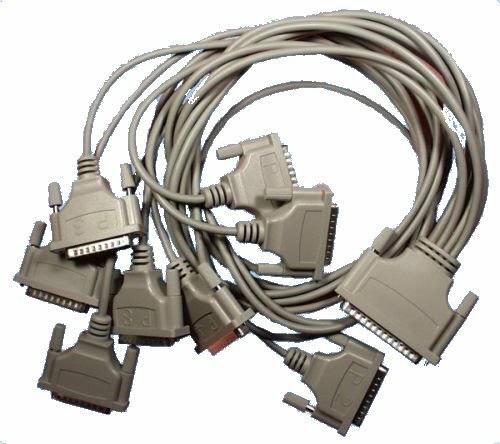 The serial ports are based on a 16C550A UART with 16 byte FIFO. 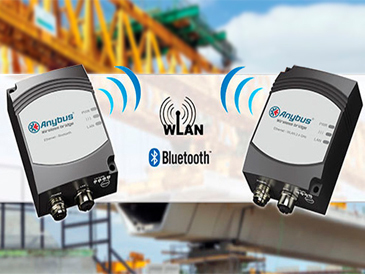 The eightfold maximum speed allows some unusual transmission rates. 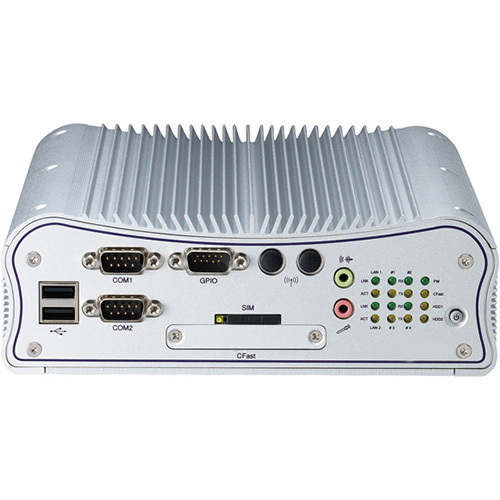 The really small and robust embedded system! 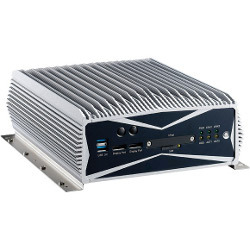 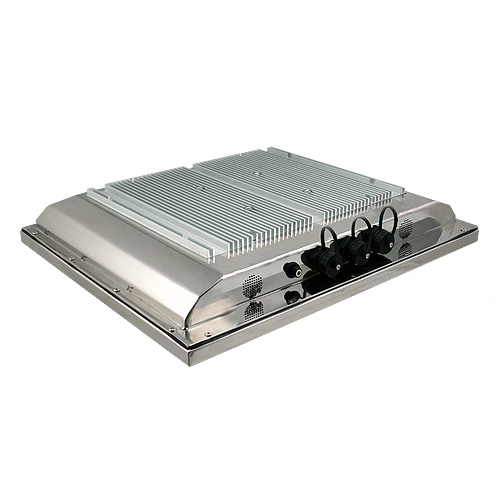 Fan less, Low Power Consumption, Professional construction inside! 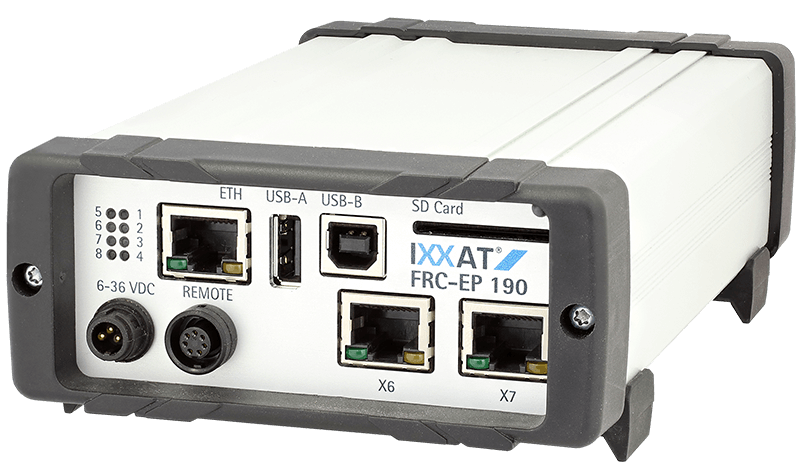 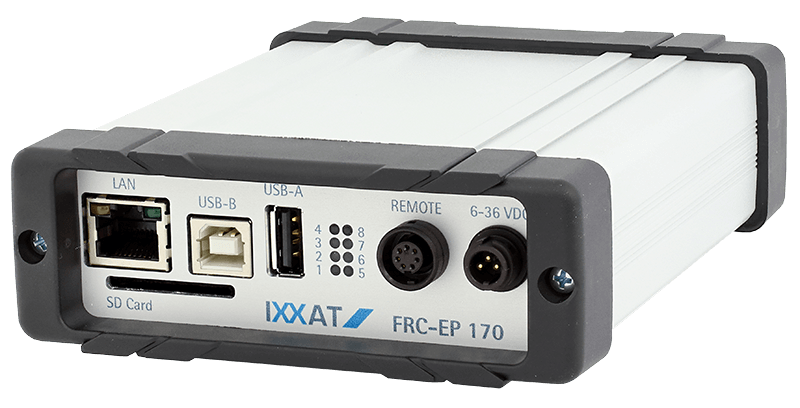 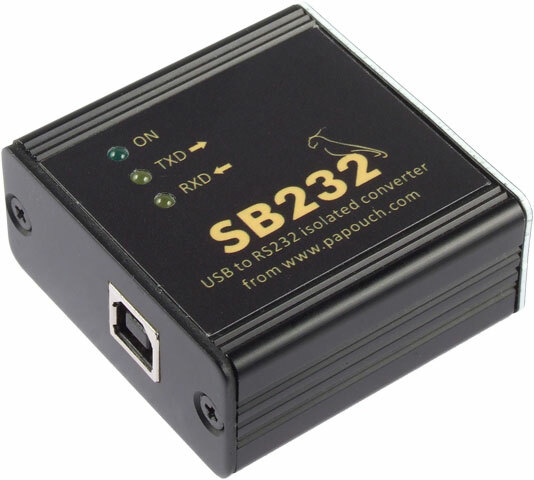 This new range of serial to USB solution (USBPort/x) offers performance, simplicity of installation, security, robustness and high reliability at affordable prices. 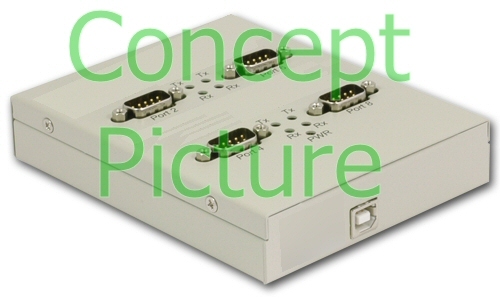 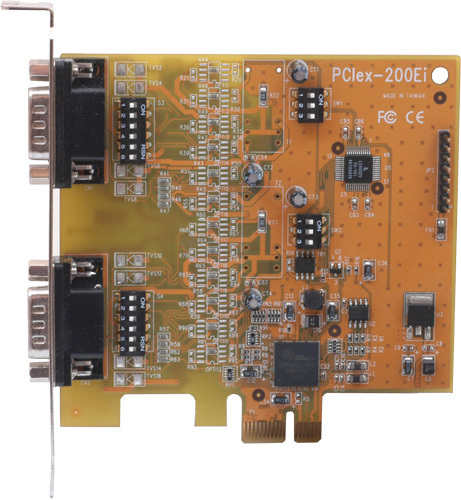 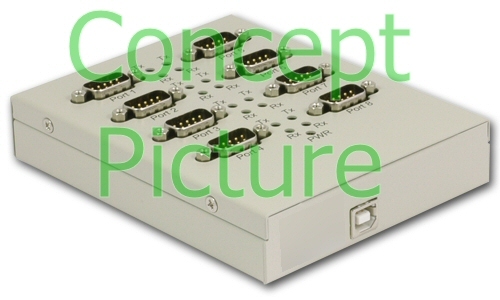 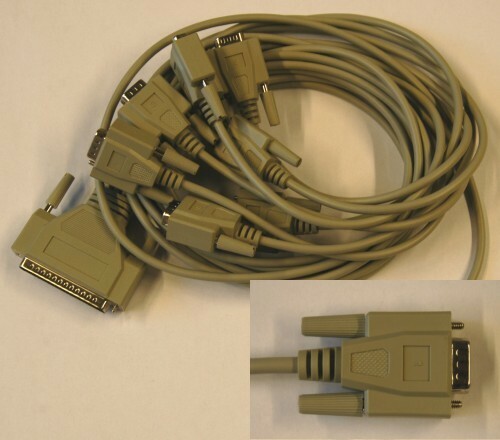 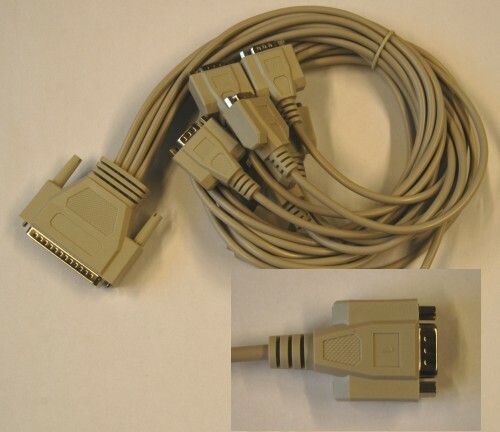 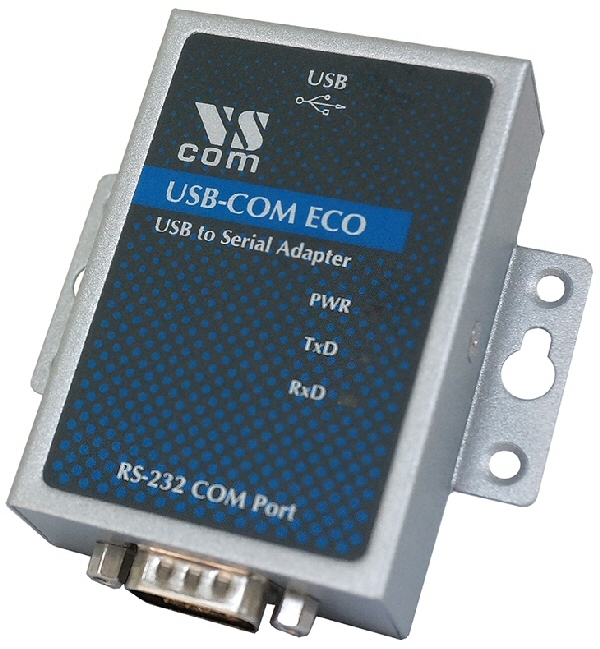 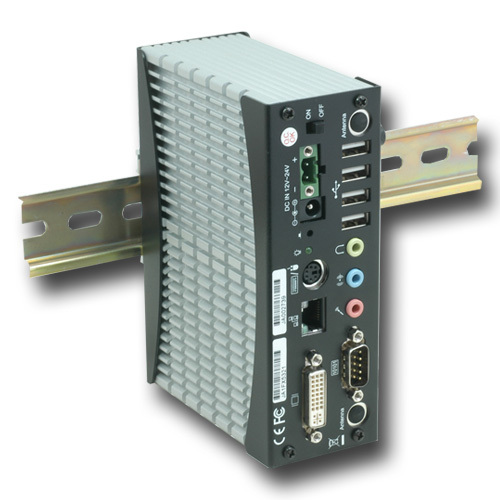 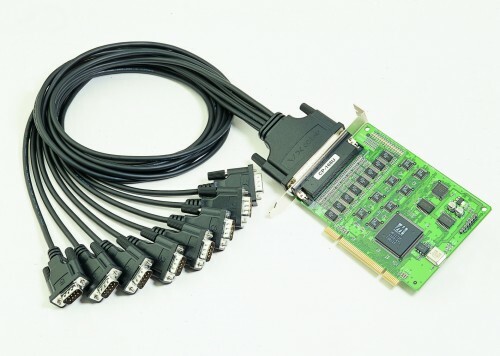 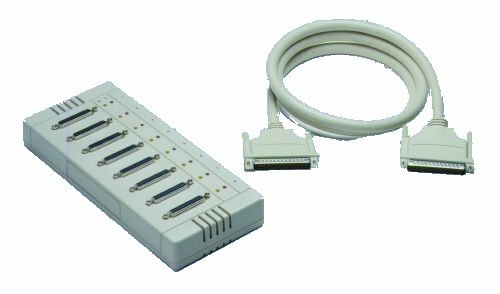 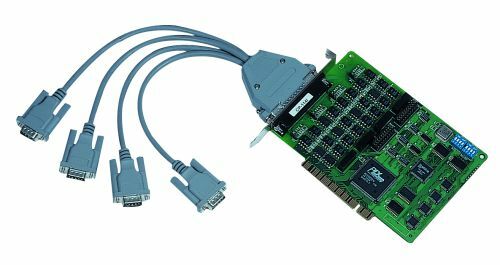 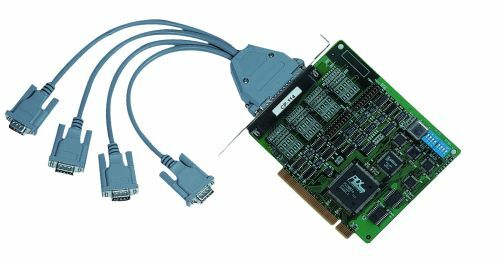 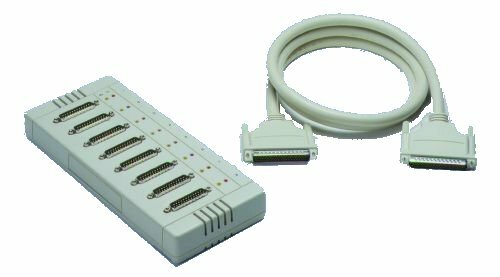 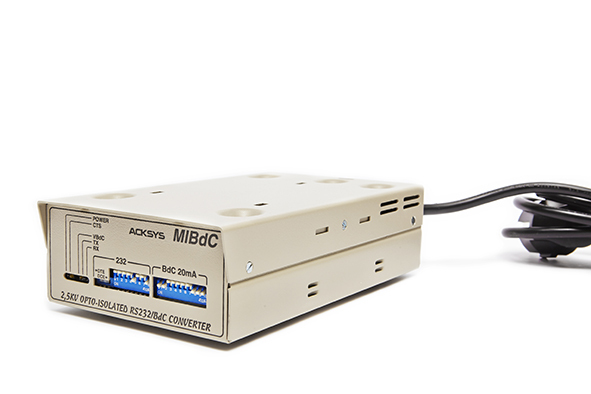 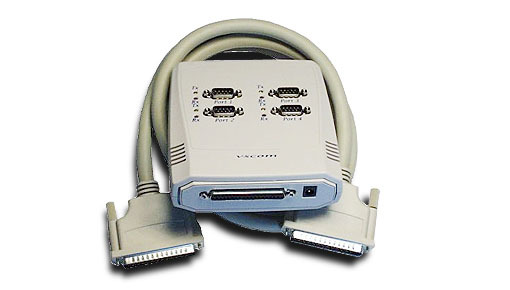 Designed to connect directly to PCs, this converter has a female SUB D9 connector to the RS232 port and a screw-in connecrting terminal for the RS-422/485 port. 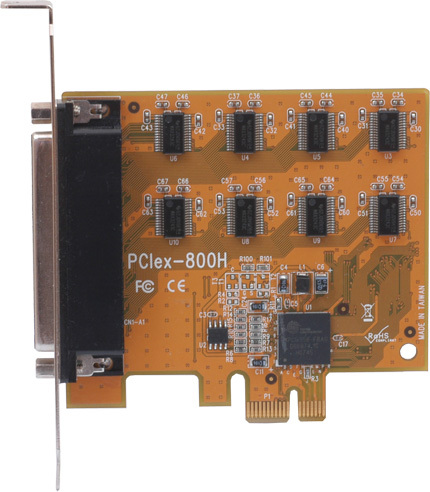 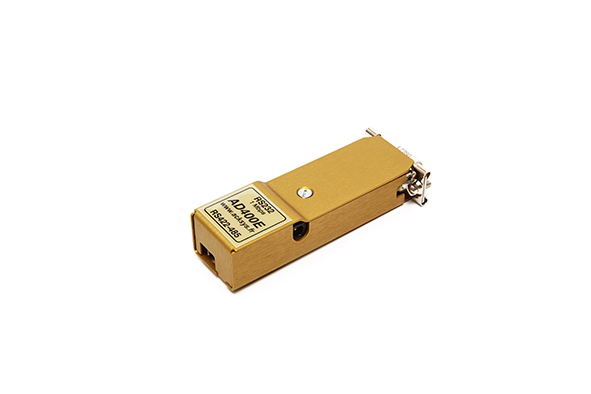 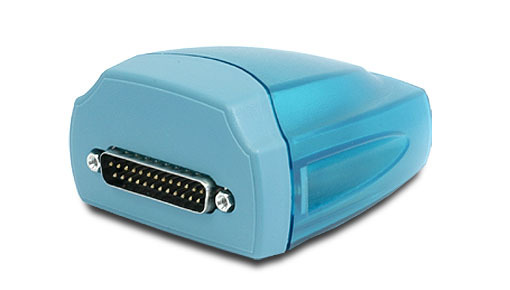 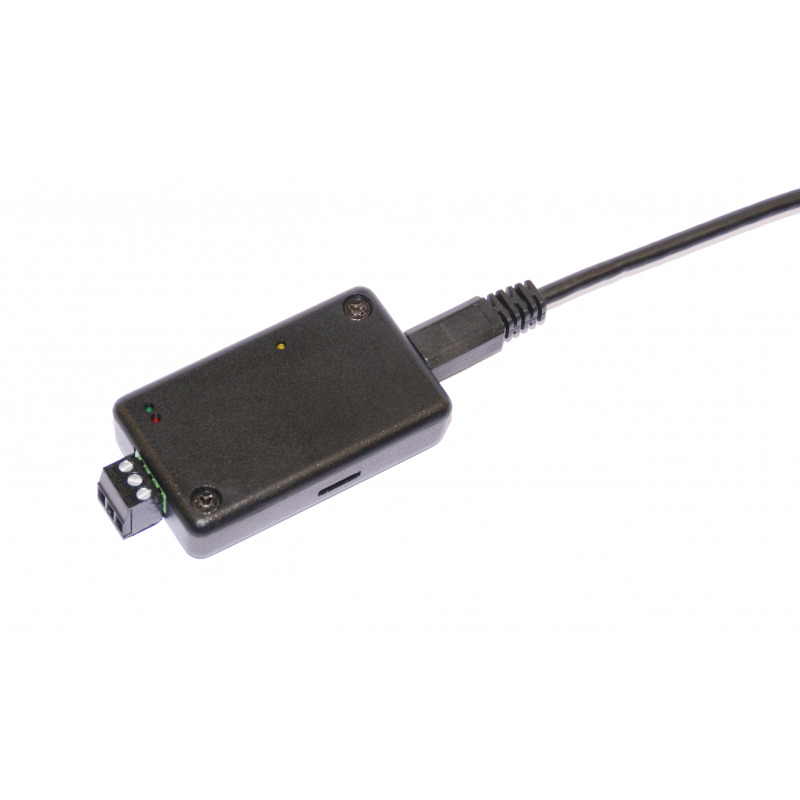 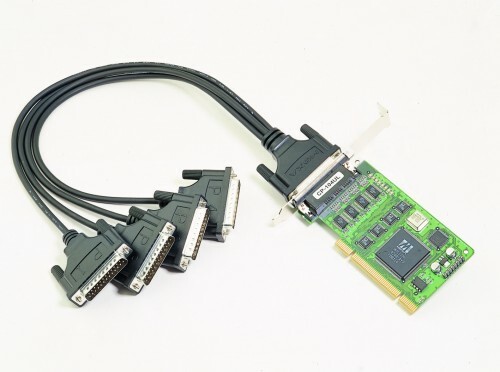 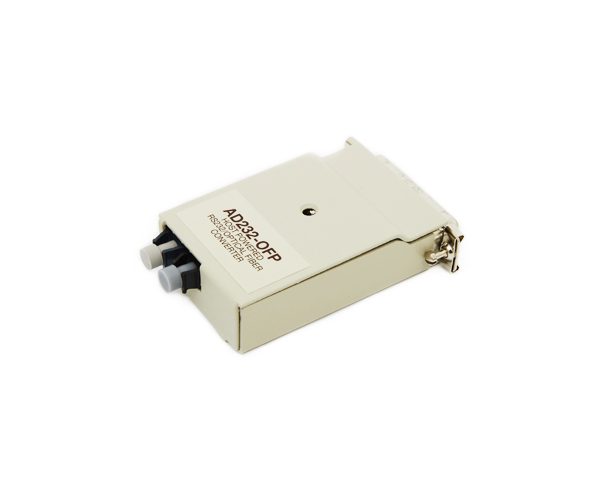 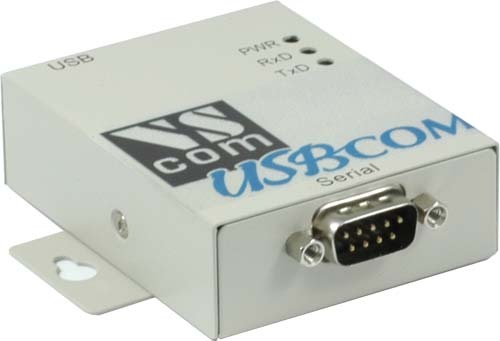 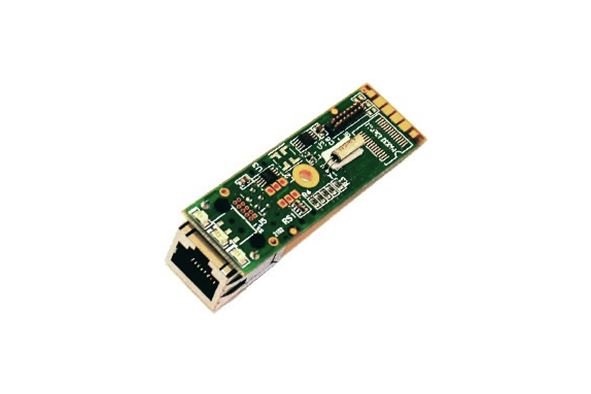 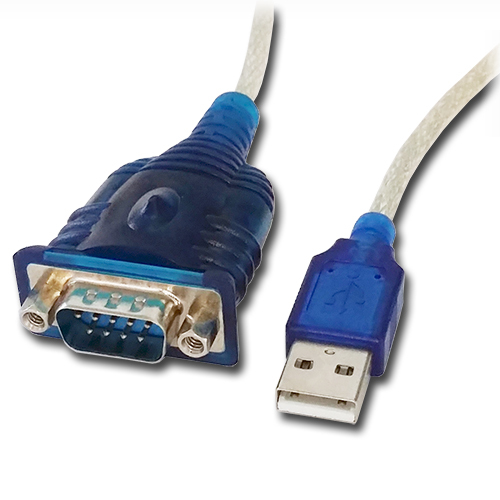 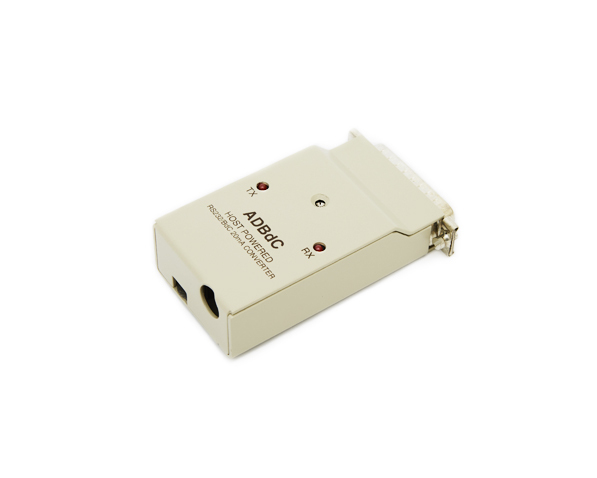 Designed to connect directly to PCs, this converter has a female SUB D9 connector to the RS232 port and a screw-in connecting terminal for the RS-422/485 port. 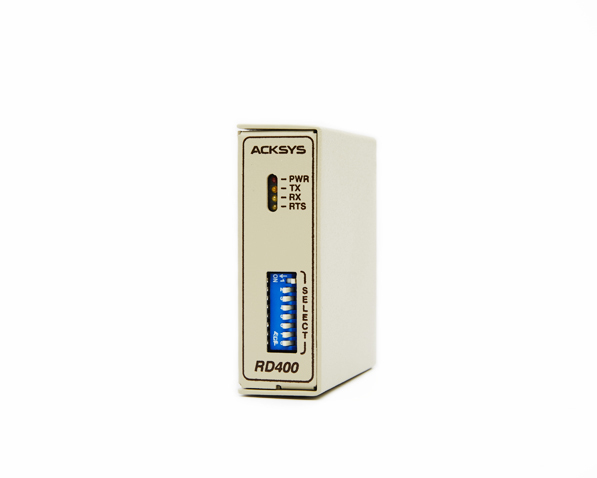 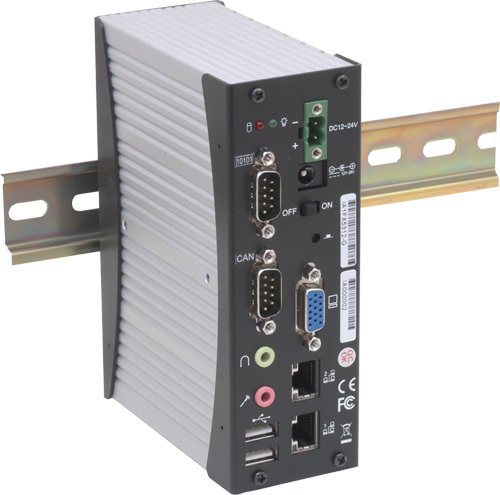 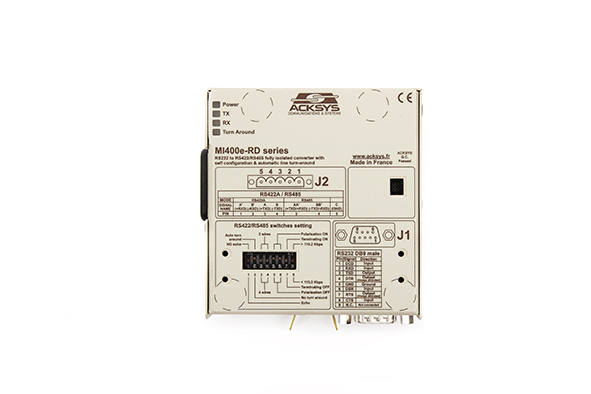 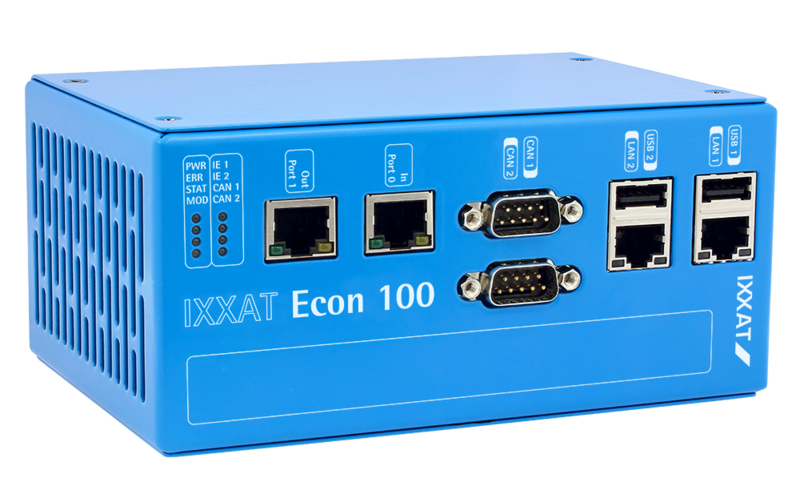 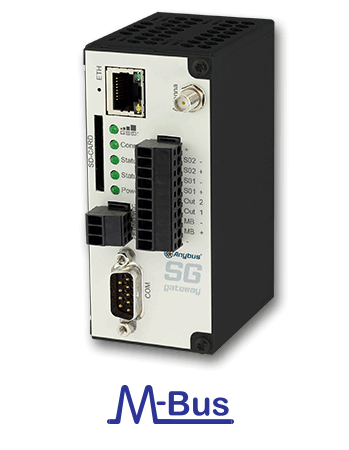 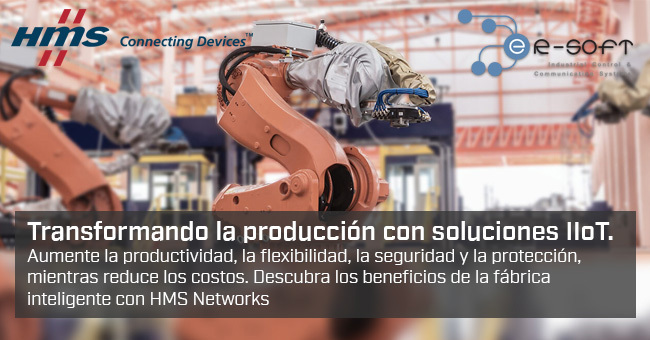 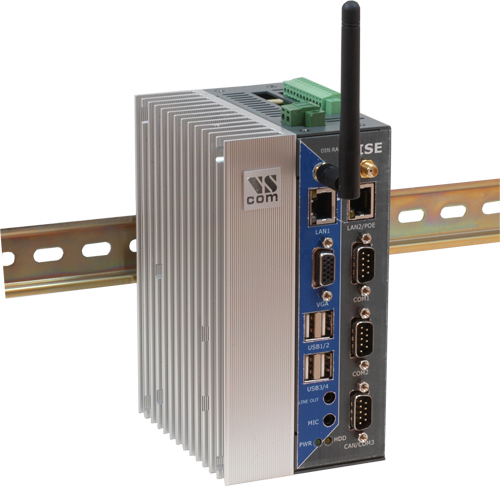 Thanks to the use of the latest technologies, the MI400e-RD series allows you to install easily and quickly your industrial RS422/RS485 network while making advantage of an increased reliability. 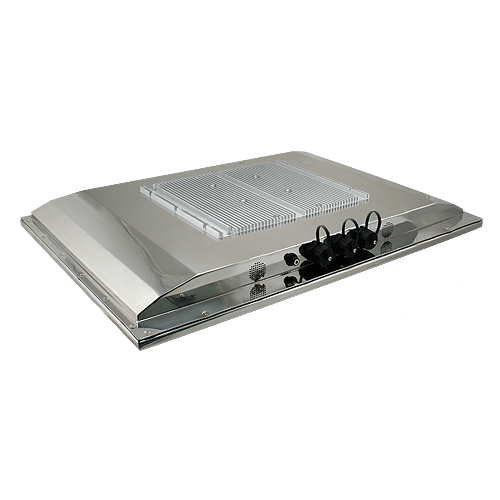 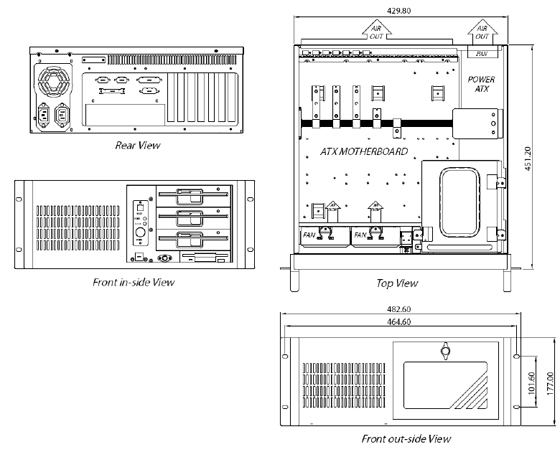 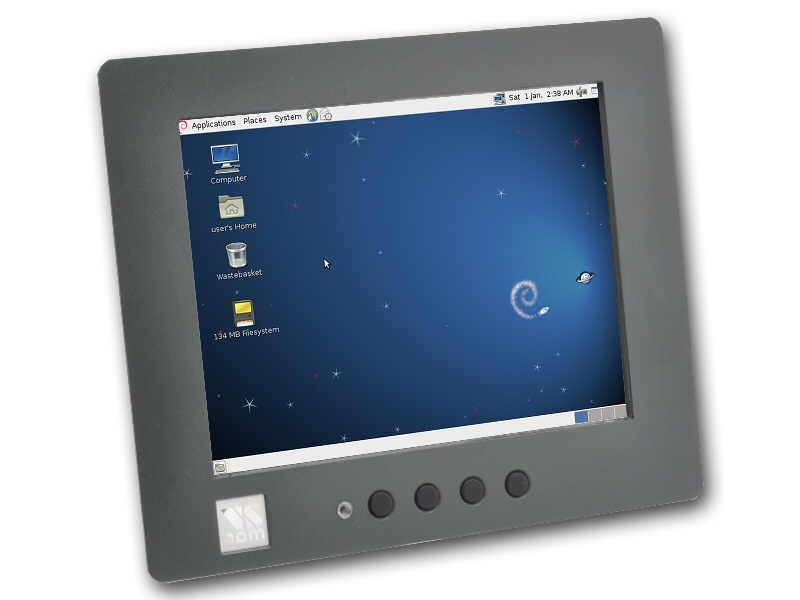 VS Multi-Media Panel PC 21.5"
VS IP65 Stainless Steel Panel PC 22"
VS IP65 Stainless Steel Panel PC 17"
VS IP65 Stainless Steel Panel PC 15"
The NB1600 WIAP supports multiple wireless networks and connects them to the Internet via 2G/3G or 2G/3G/4G. 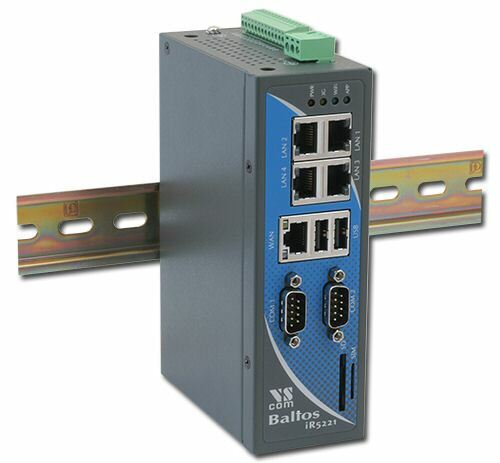 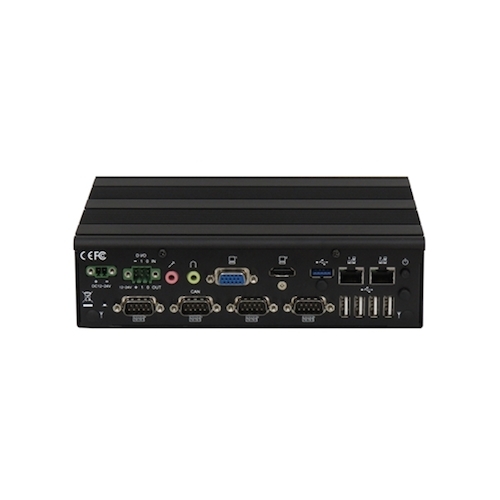 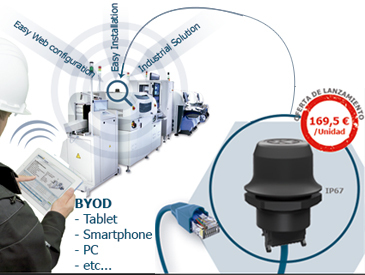 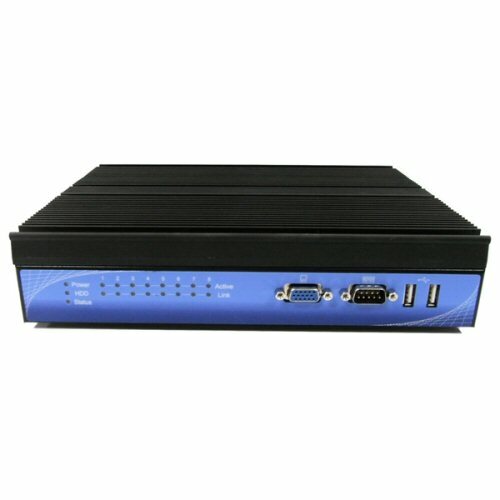 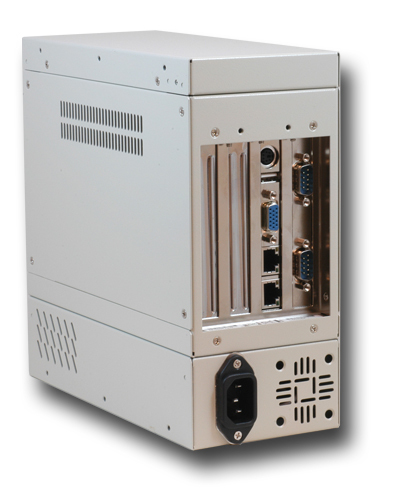 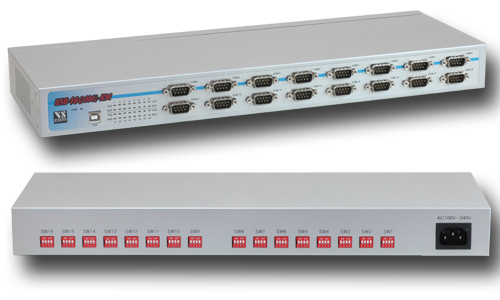 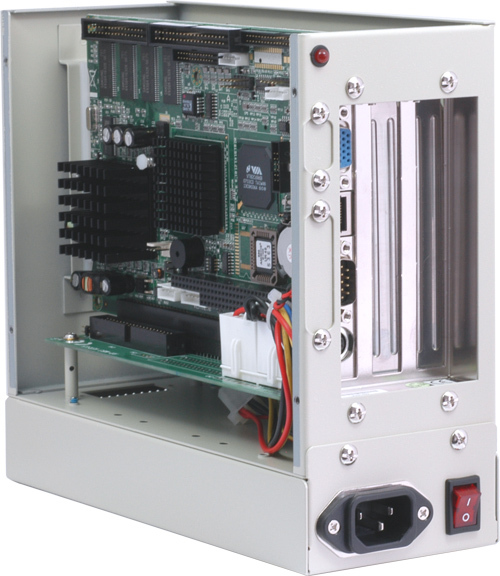 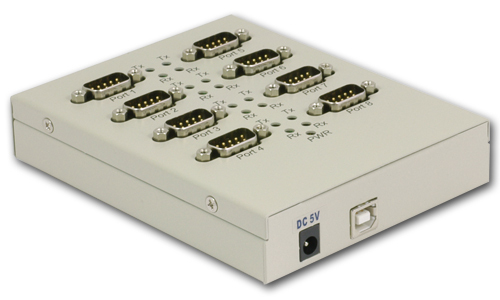 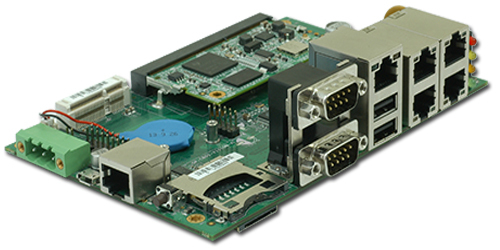 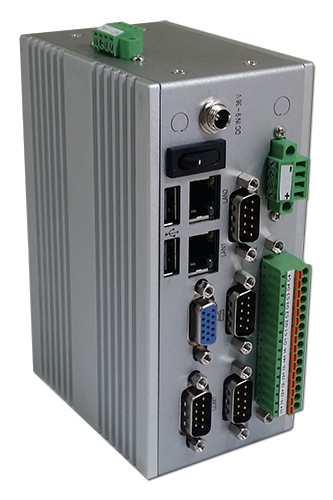 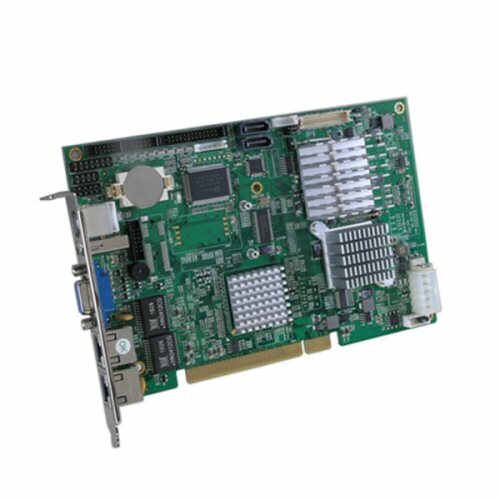 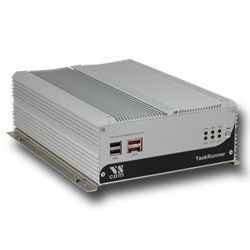 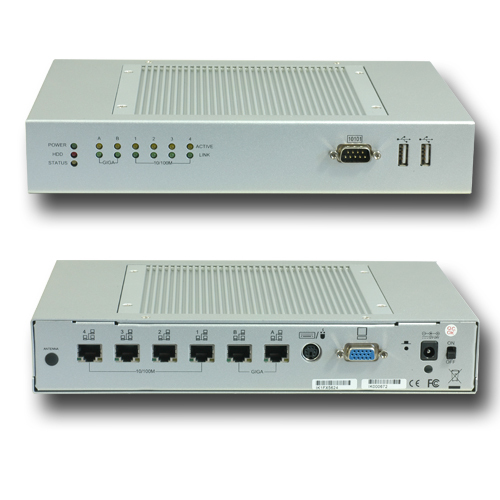 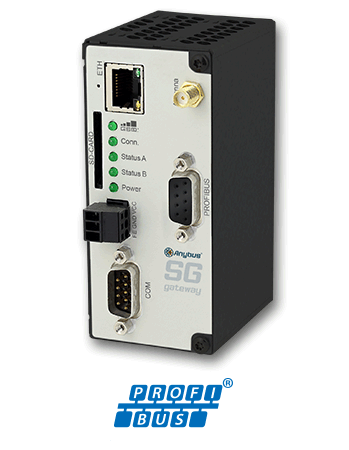 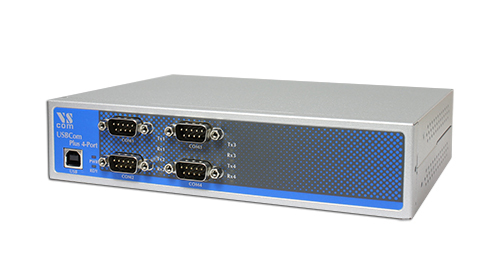 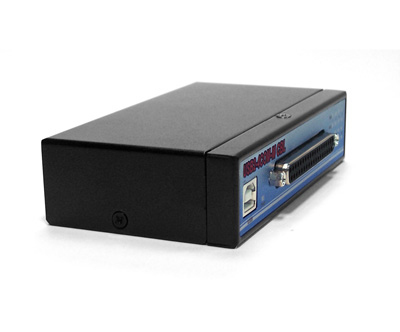 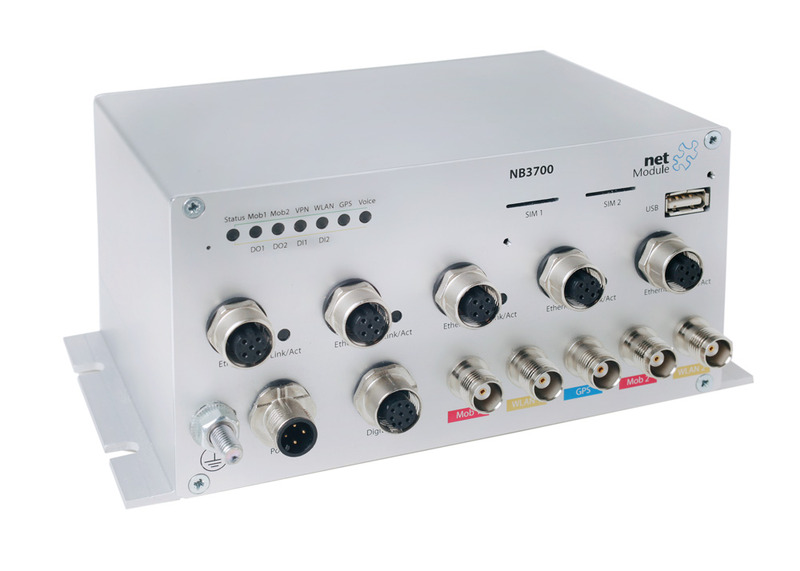 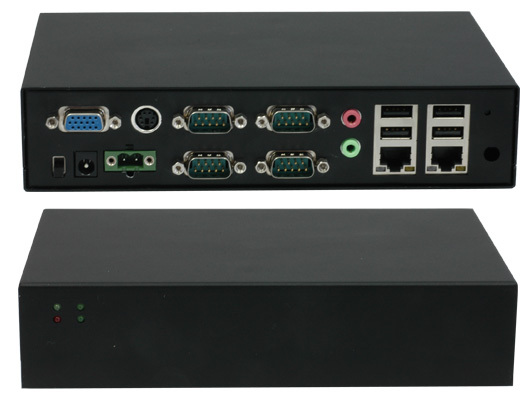 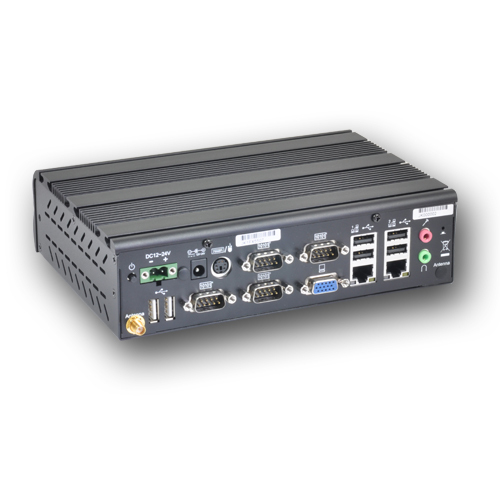 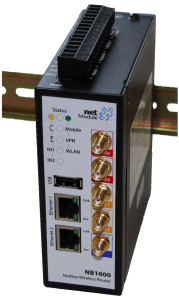 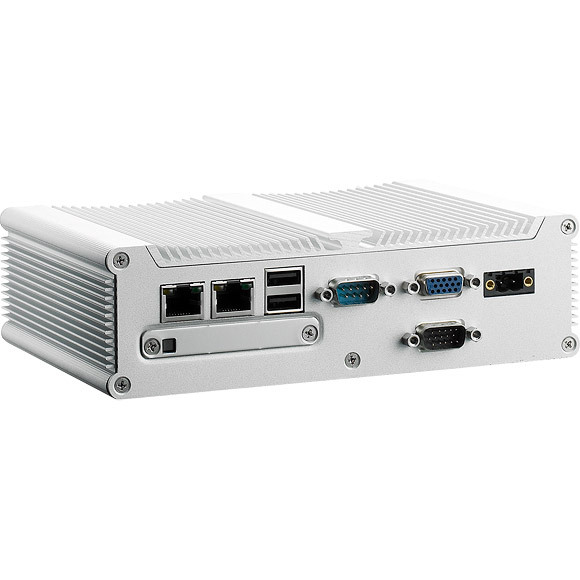 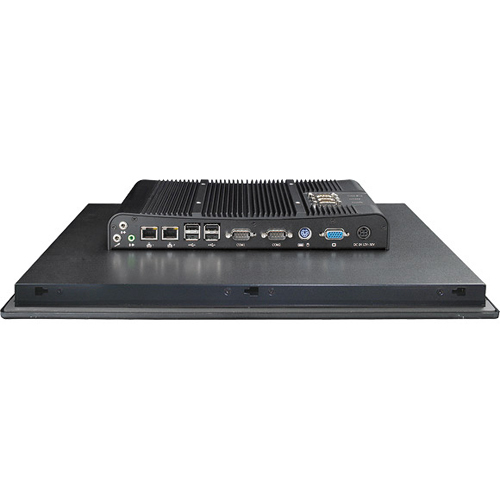 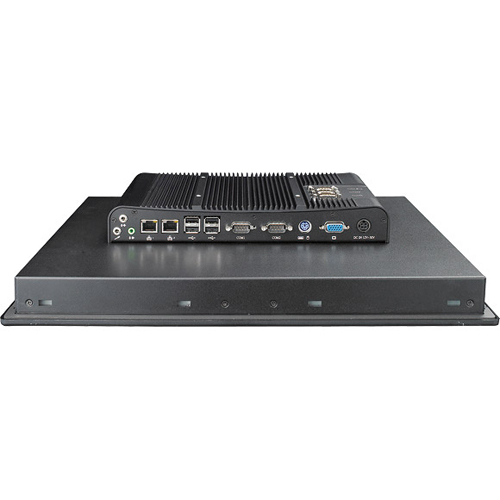 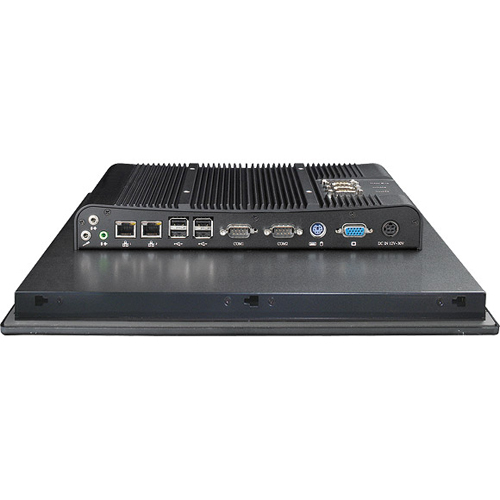 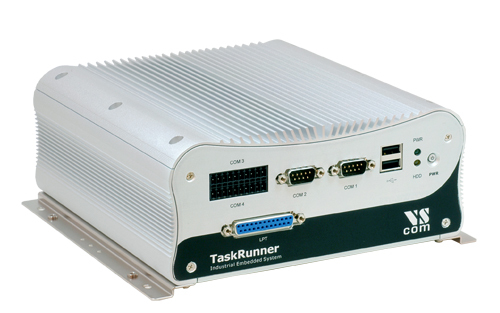 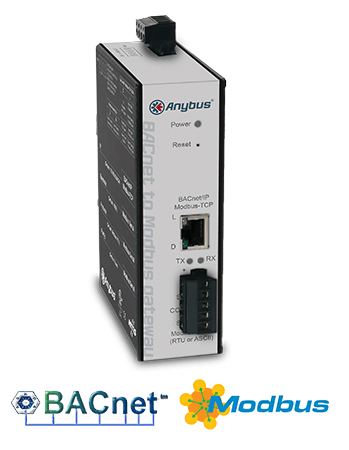 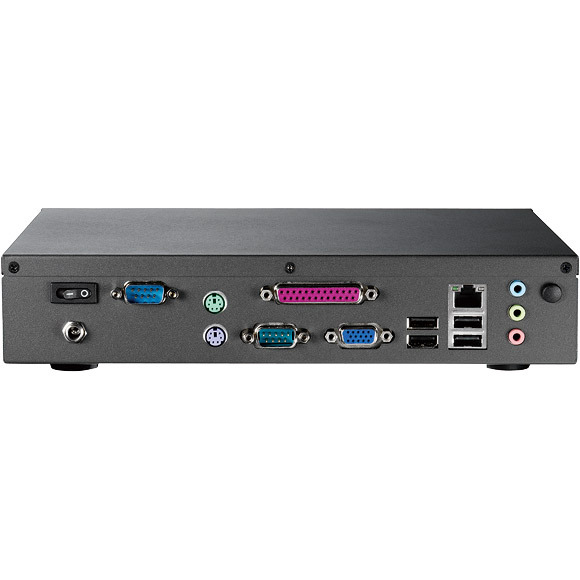 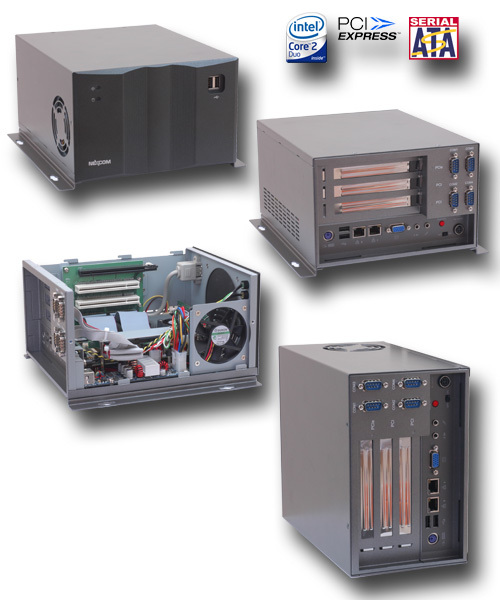 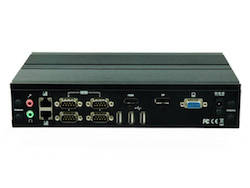 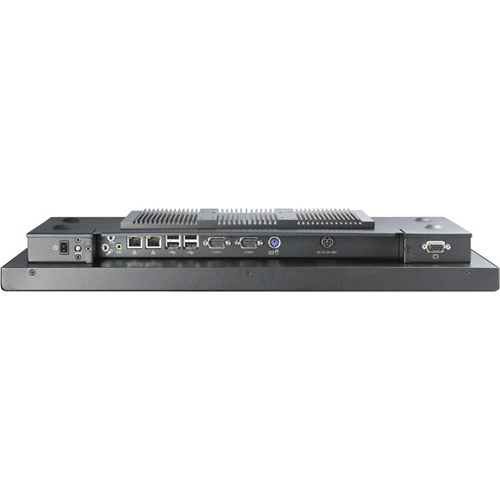 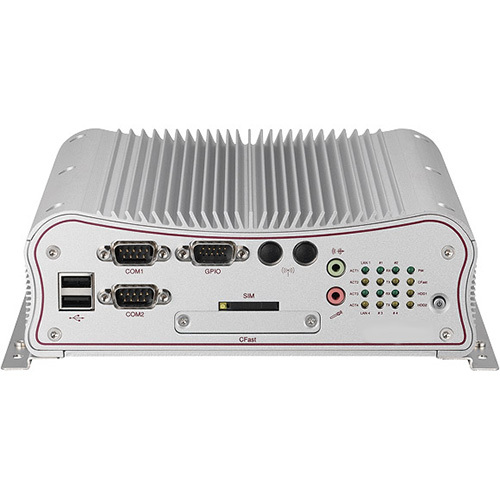 In addition all NB1600 core functions are available: digital I/O, USB and serial gateway, SDK, VPNs and many more. 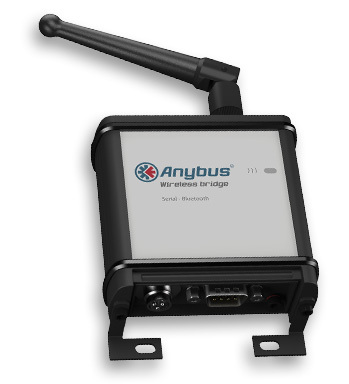 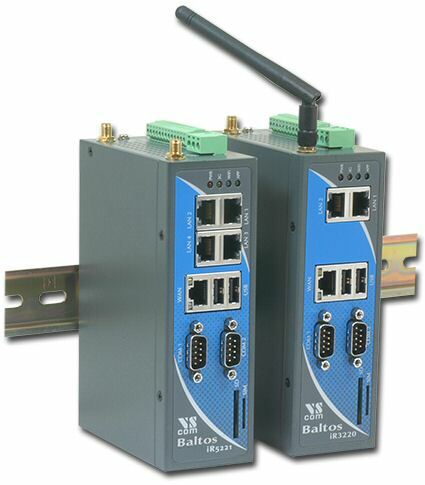 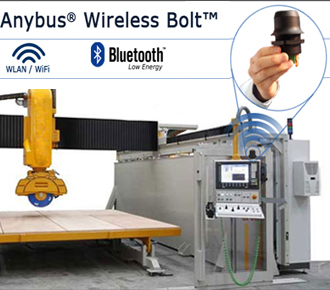 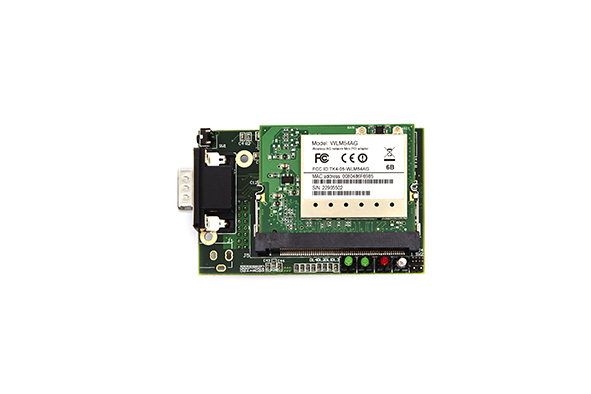 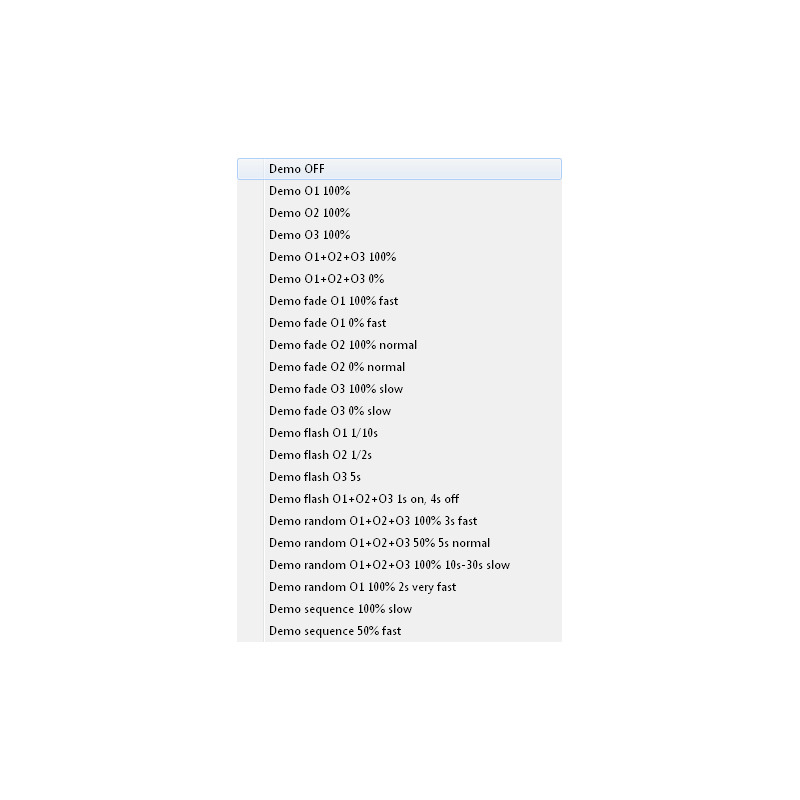 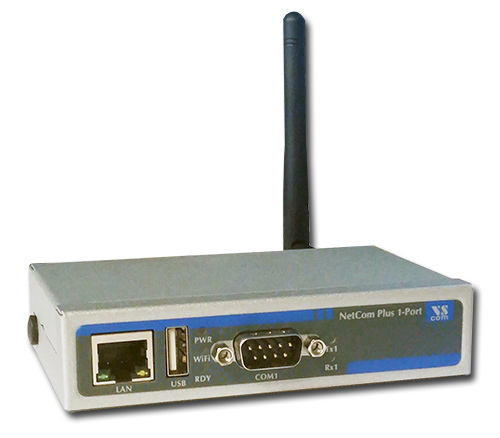 The NB1600-WLAN can be configured as WLAN access point or as wlan client. 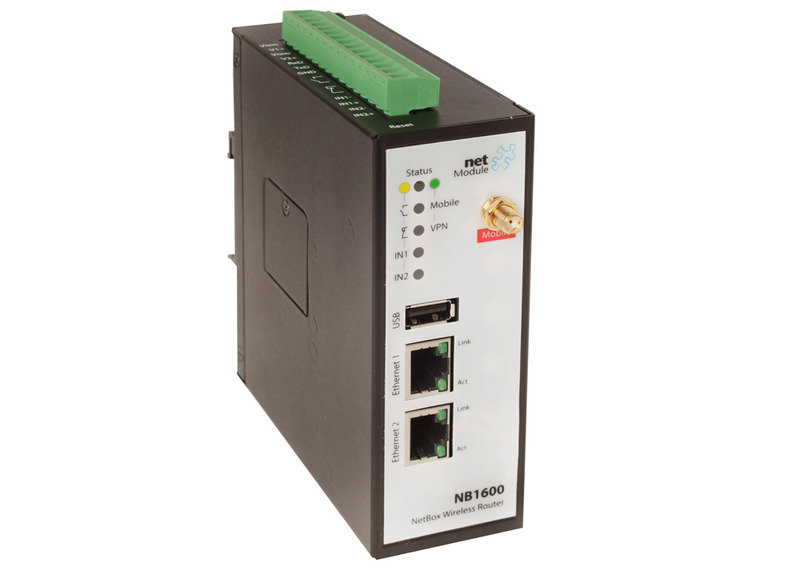 In addition all NB1600 core functions are available: digital I/O, USB and serial gateway, SDK, VPNs and many more. 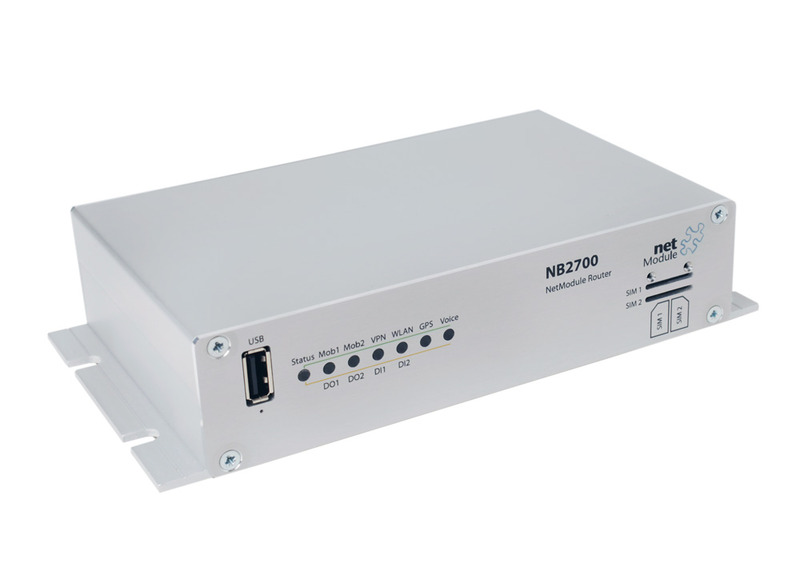 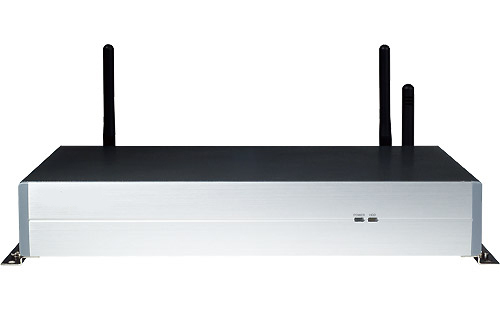 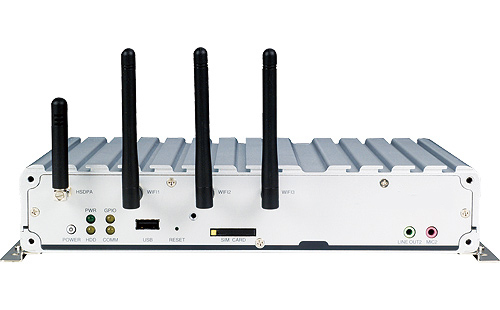 The NB2700 router provides Internet access using standard GSM, UMTS and LTE as well LTE 450MHz as wireless Internet connection. 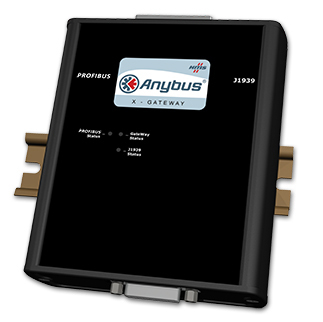 Two mobile broadband links can be used for load balancing and seamless switch-over using the Mobile IP protocol. RECEPTOR WMBUS AMR. 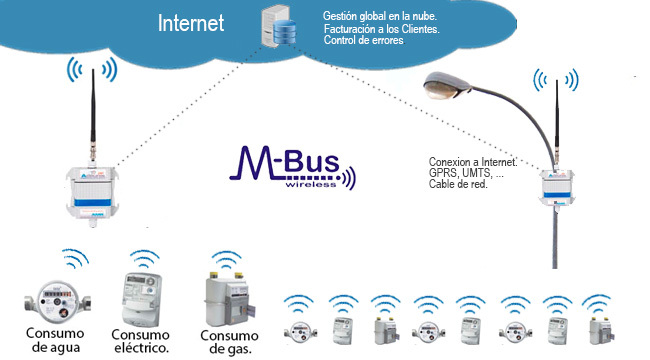 Receptor inalambrico M-Bus AMR(Automatic Meter Reading) para contadores de agua, electricidad y gas. 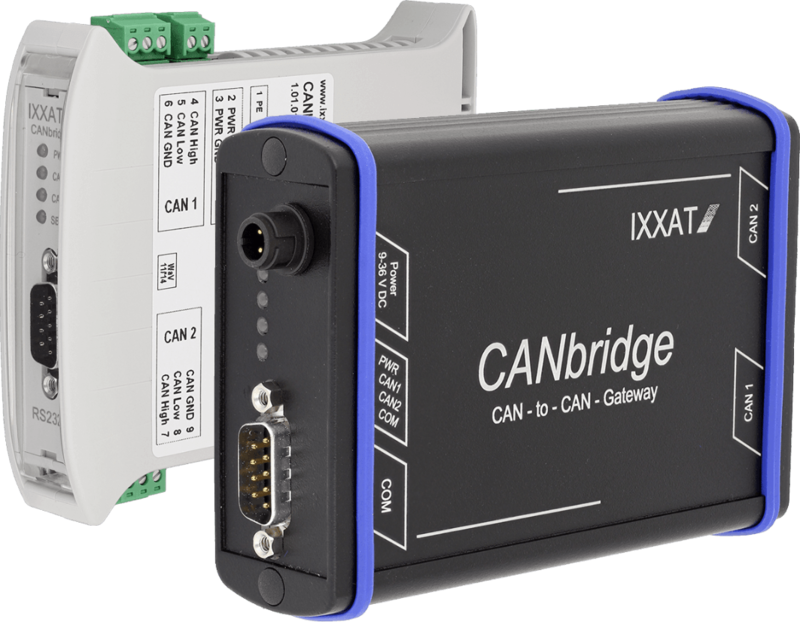 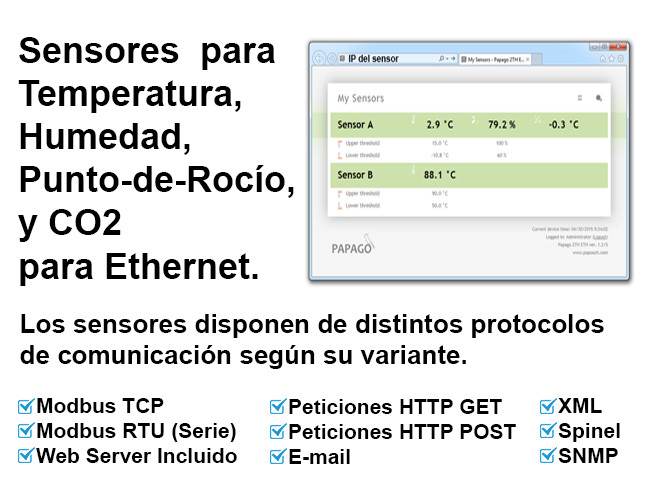 CANbridge Puente CAN-to-CAN configurable El CANbridge permite la unión de dos redes CAN, incluyendo redes con diferentes velocidades de transmisión. 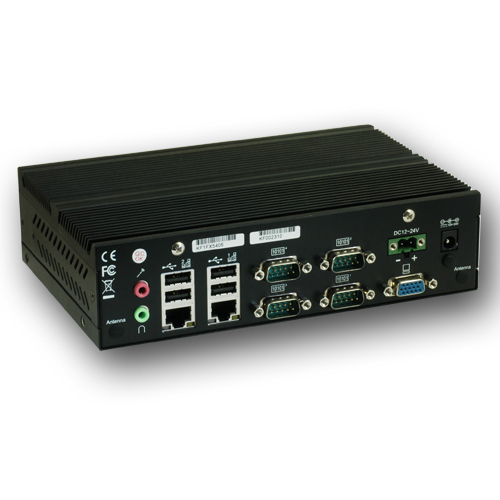 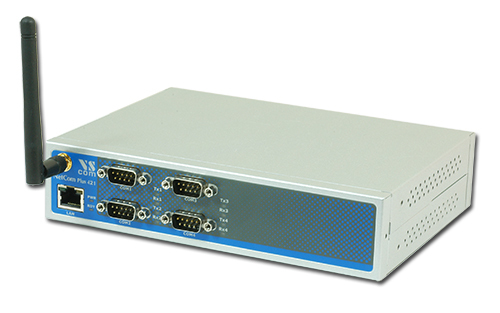 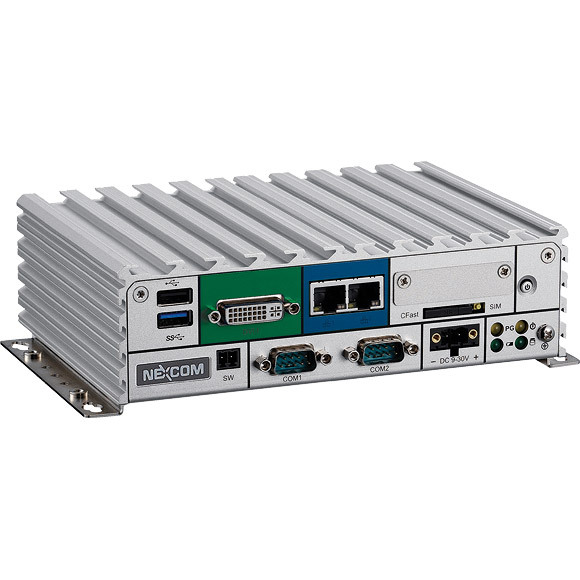 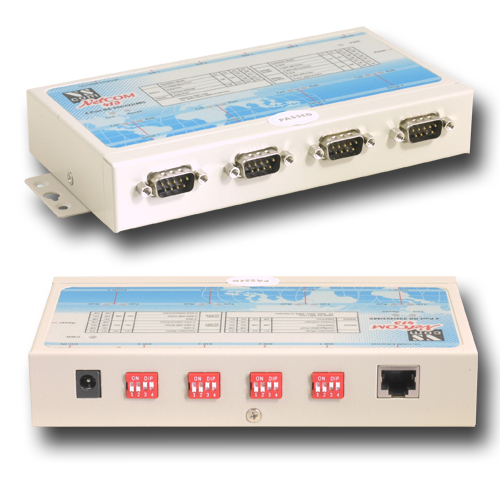 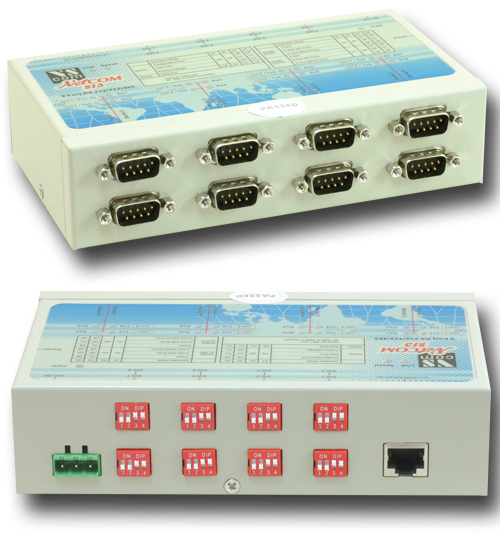 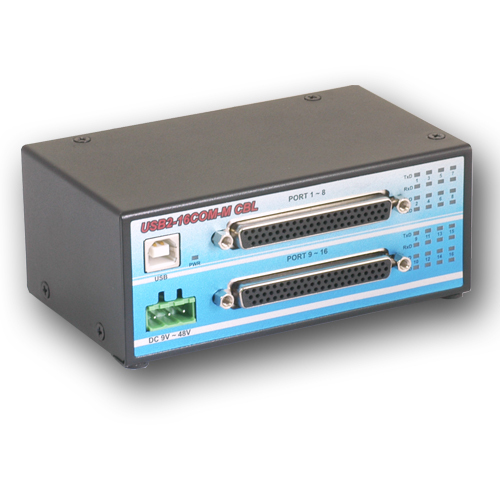 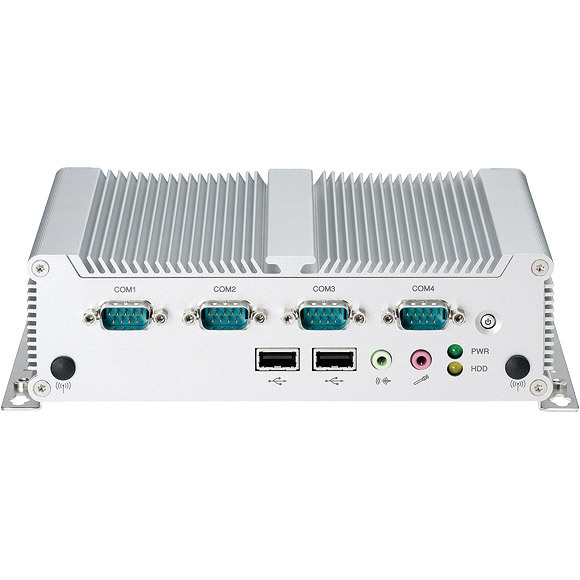 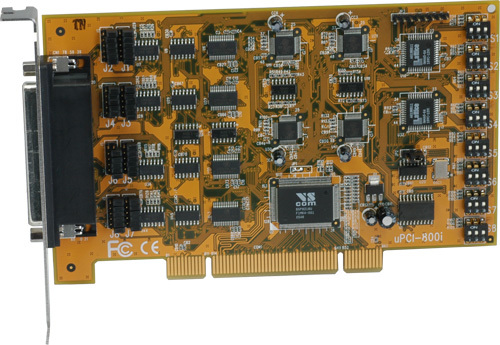 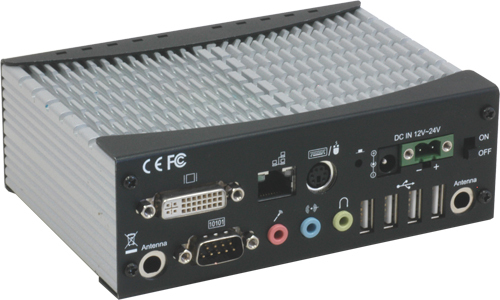 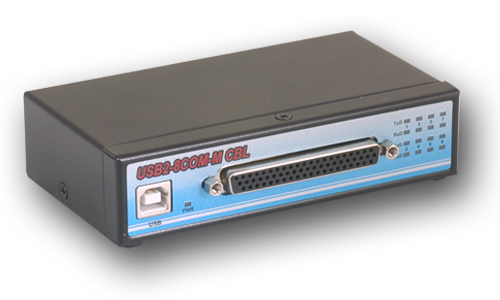 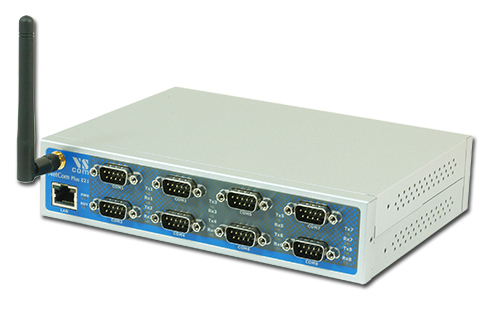 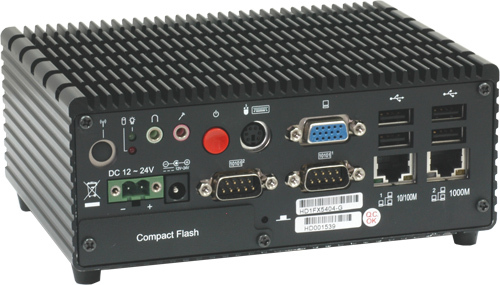 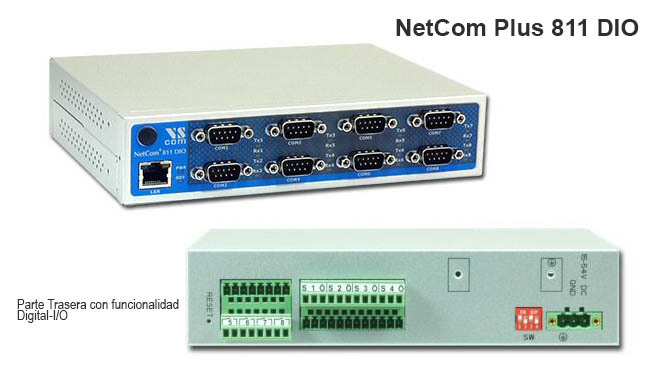 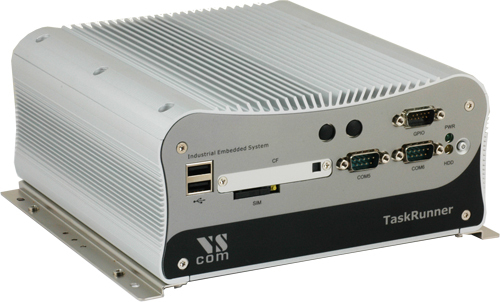 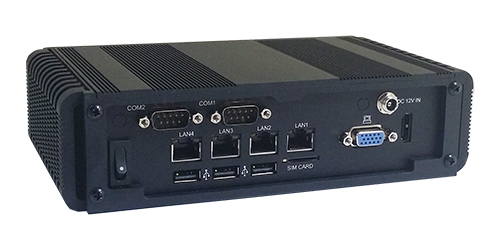 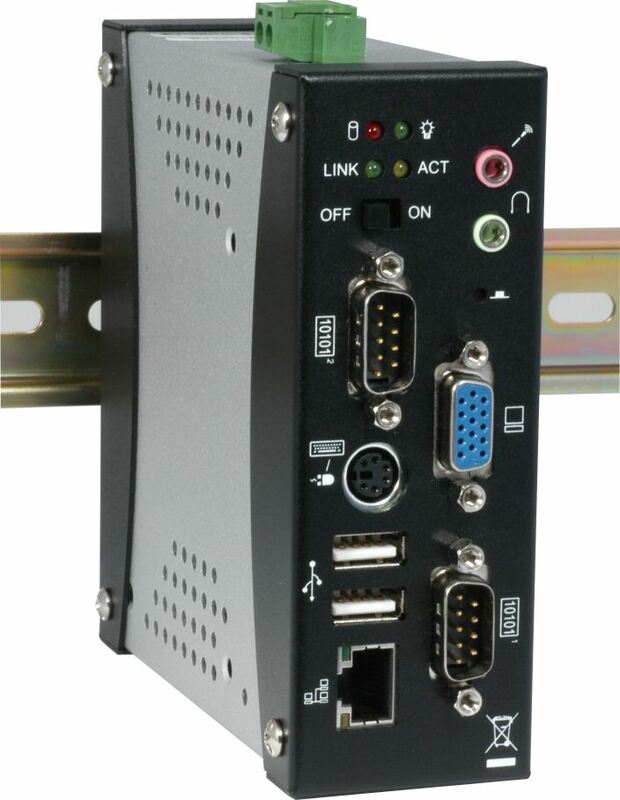 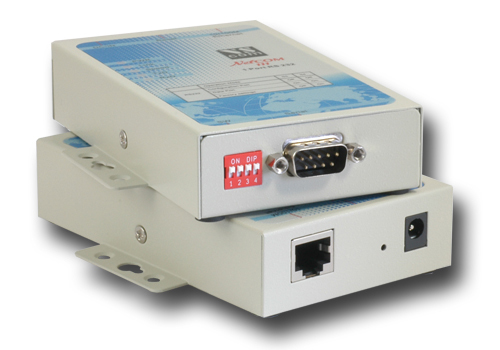 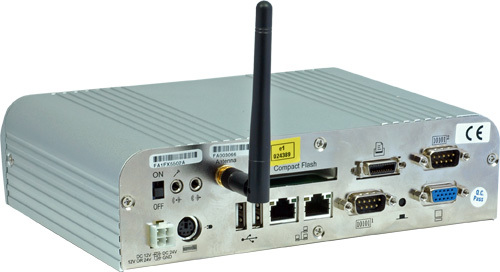 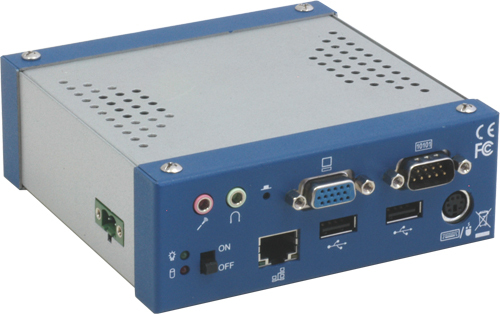 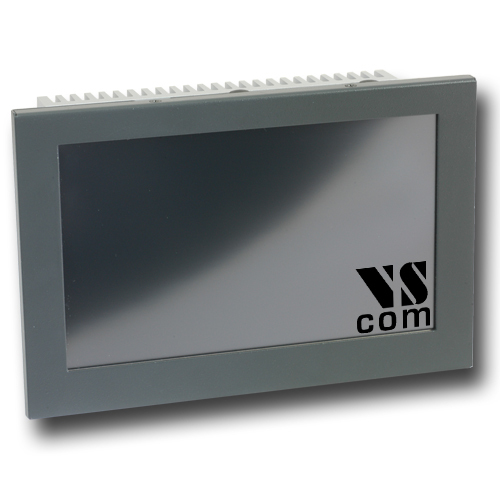 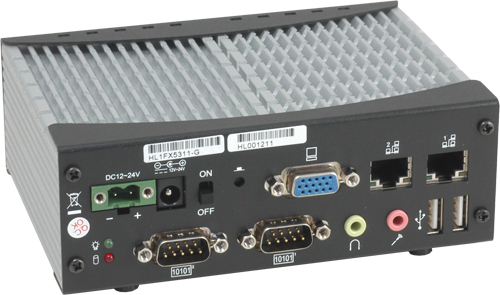 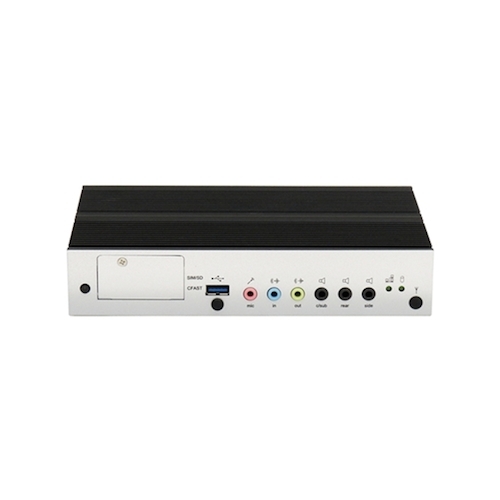 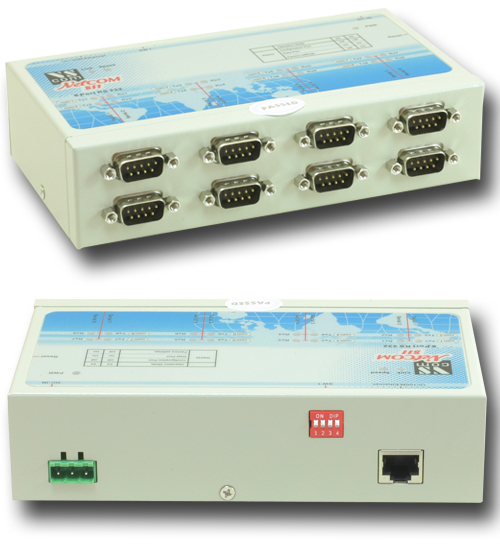 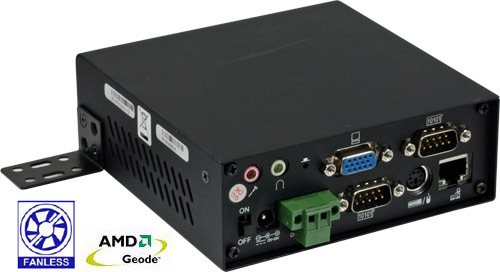 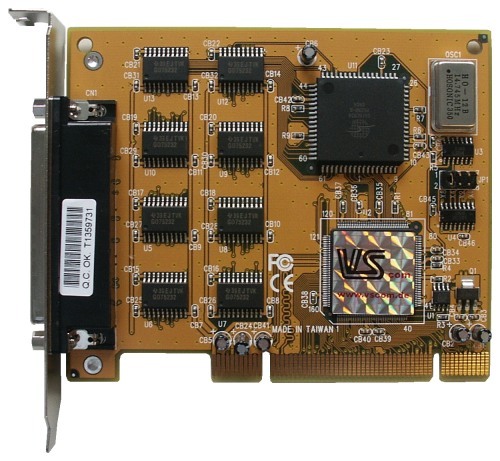 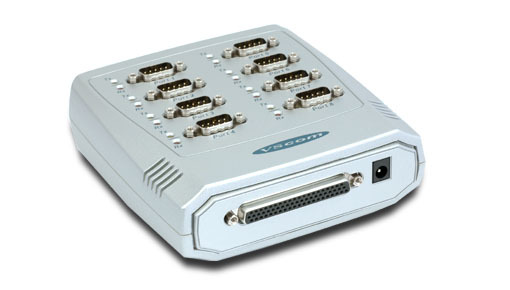 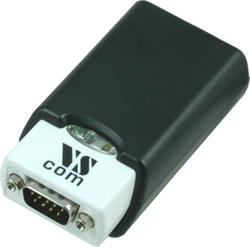 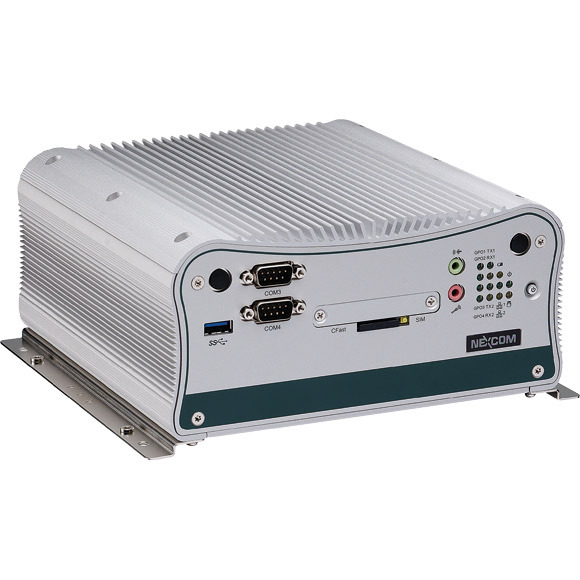 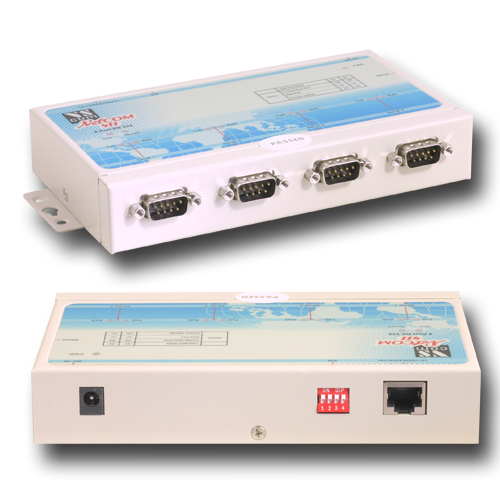 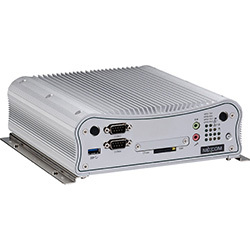 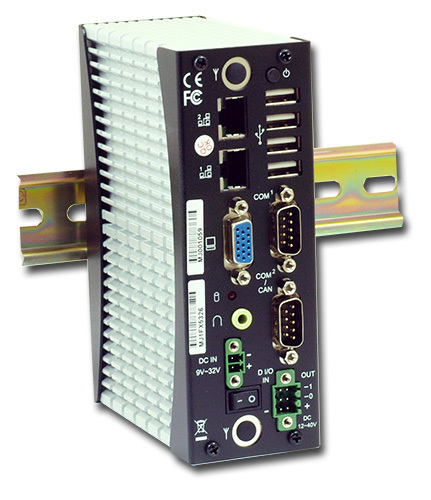 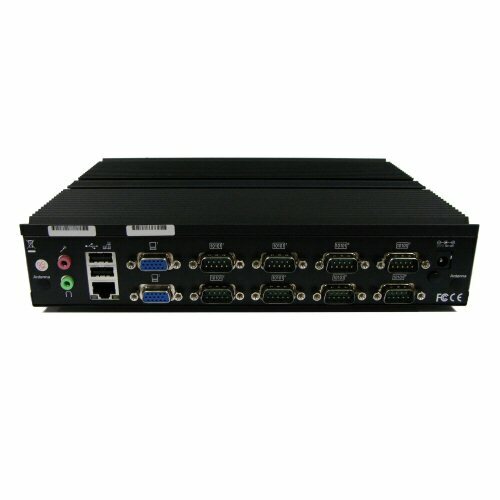 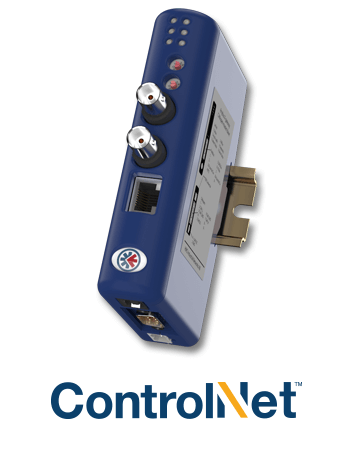 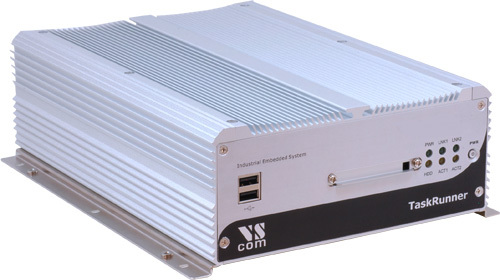 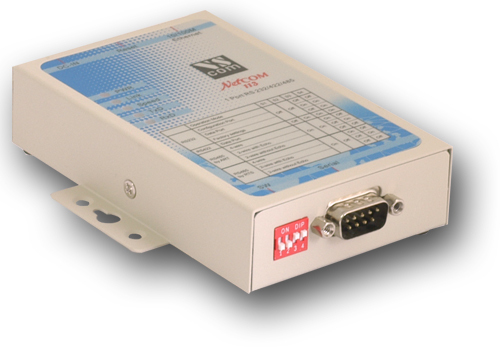 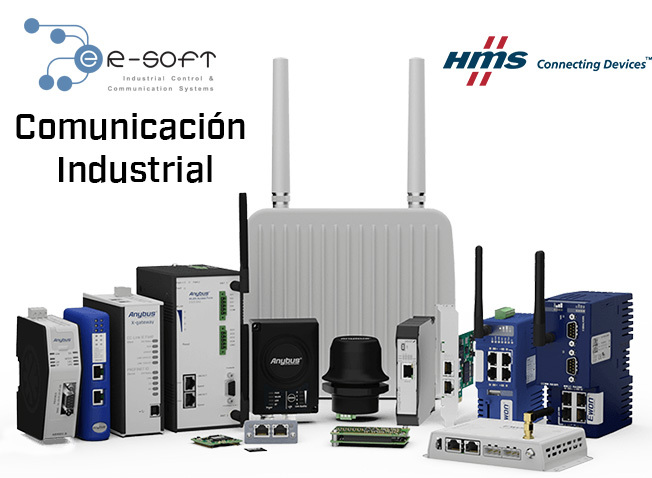 NetCom de Vision System controla dispositivos Serie RS232/422/485 vía Ethernet TCP/IP o Internet.